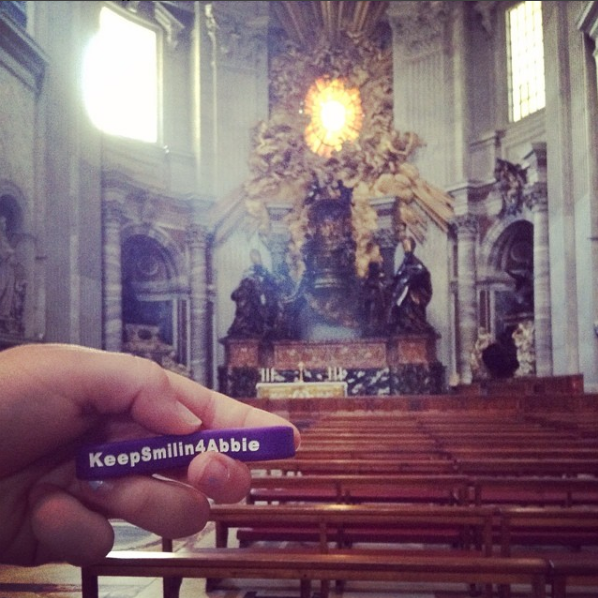 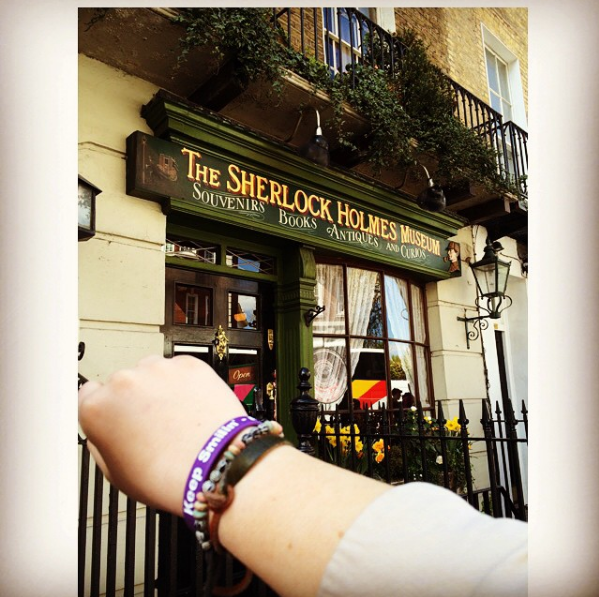 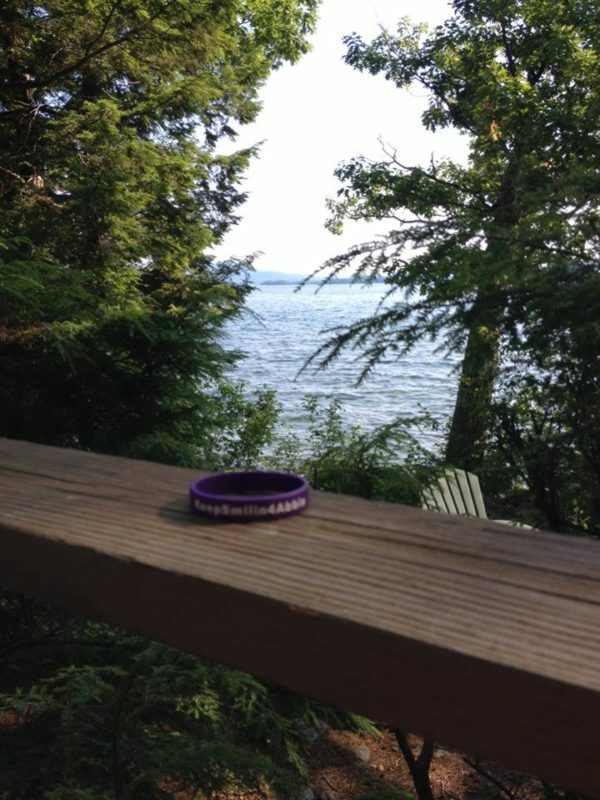 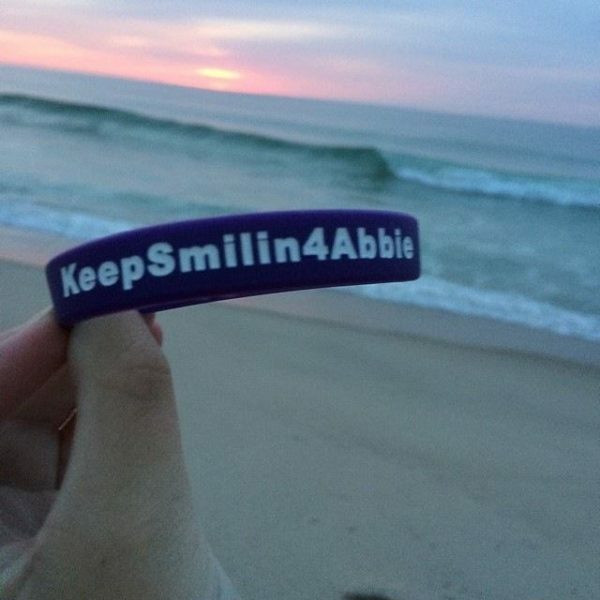 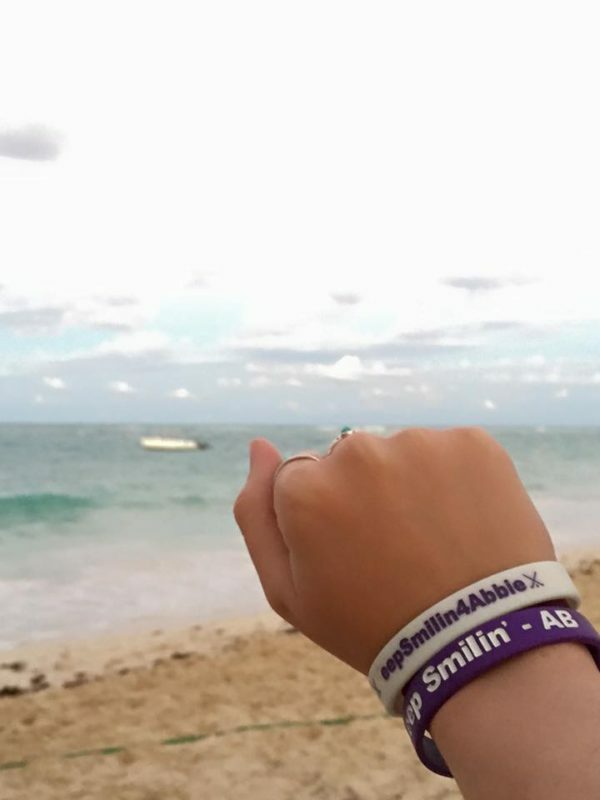 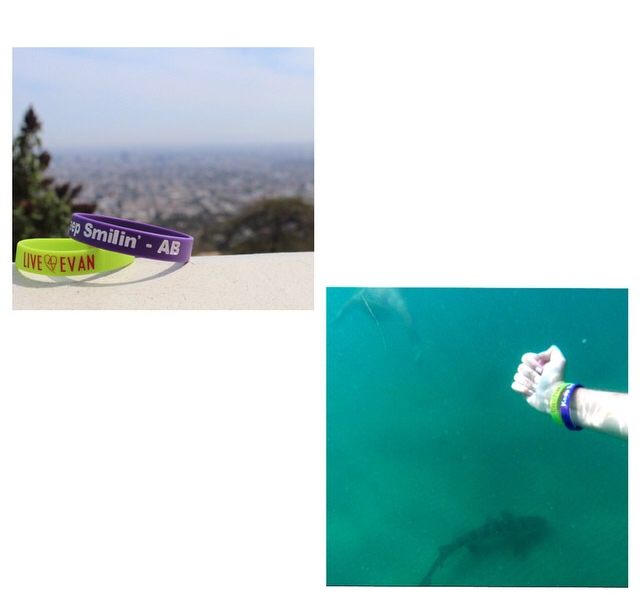 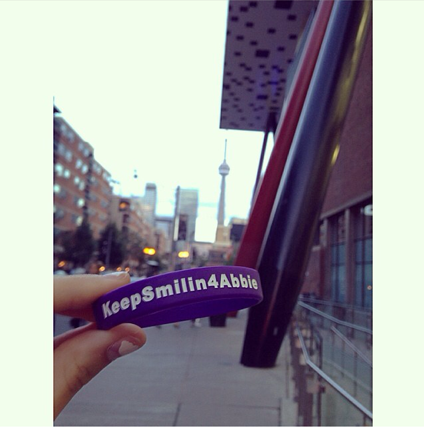 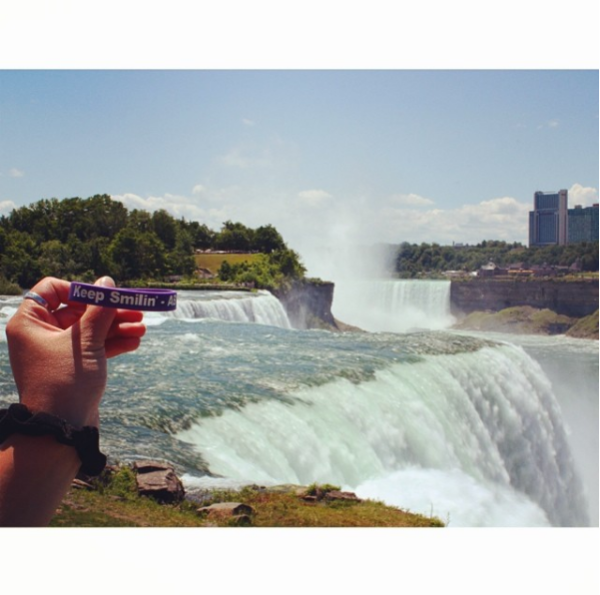 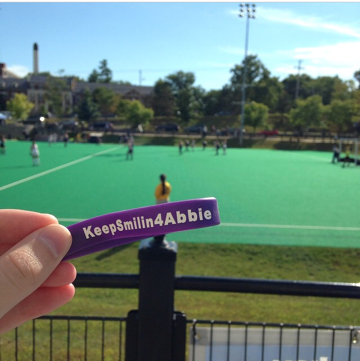 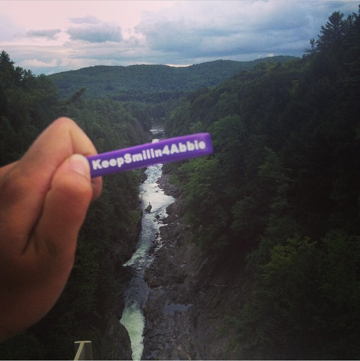 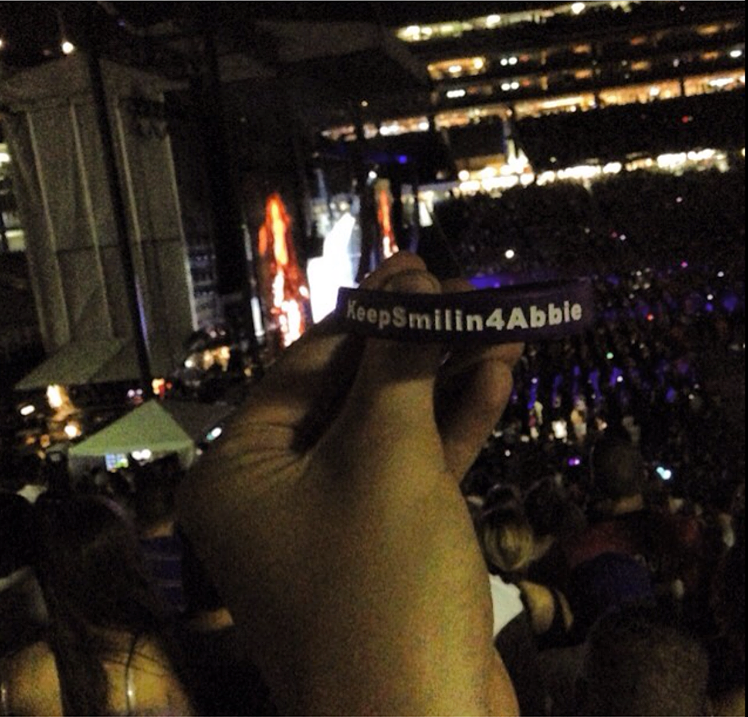 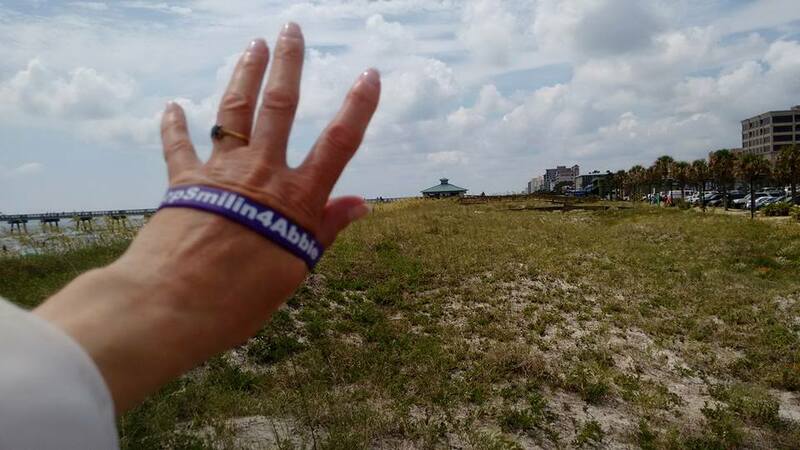 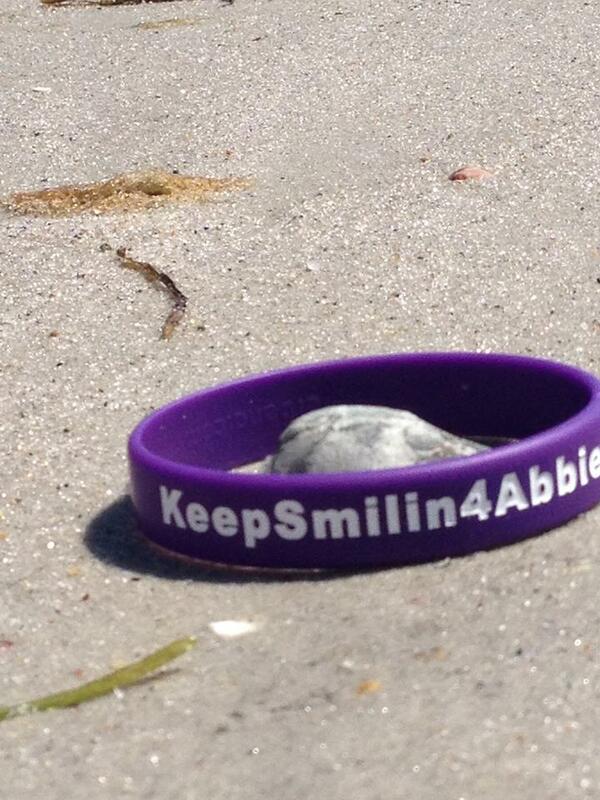 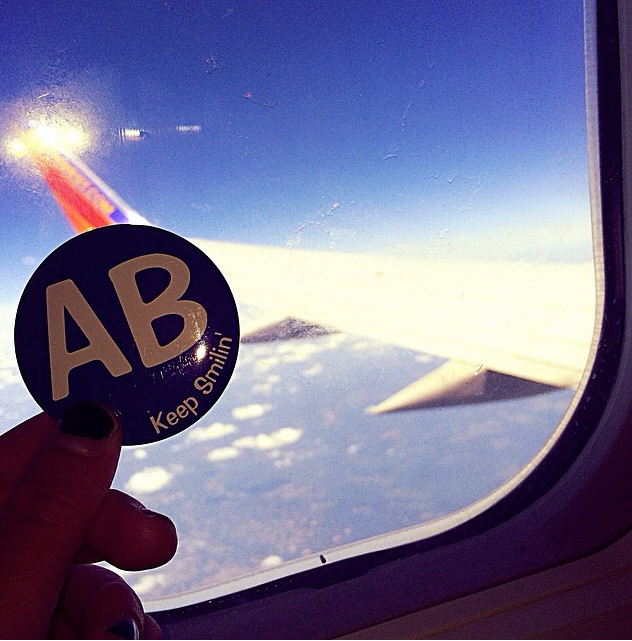 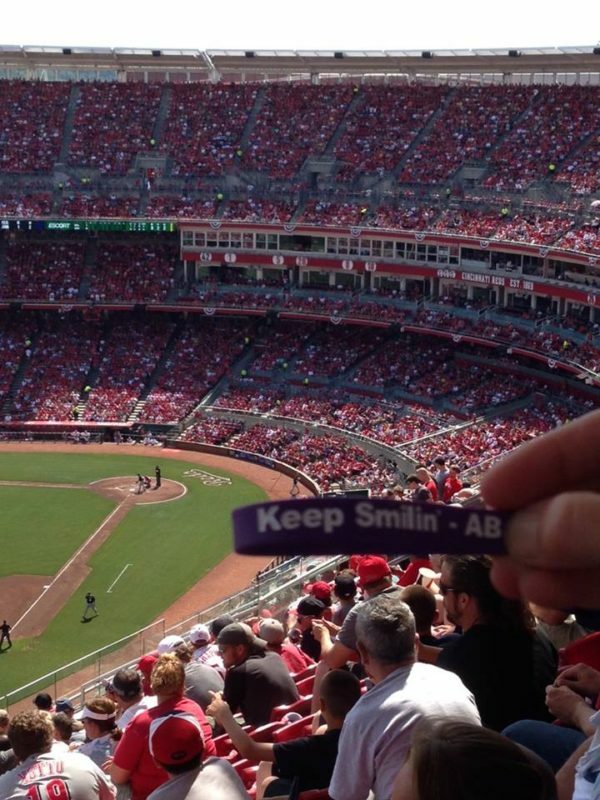 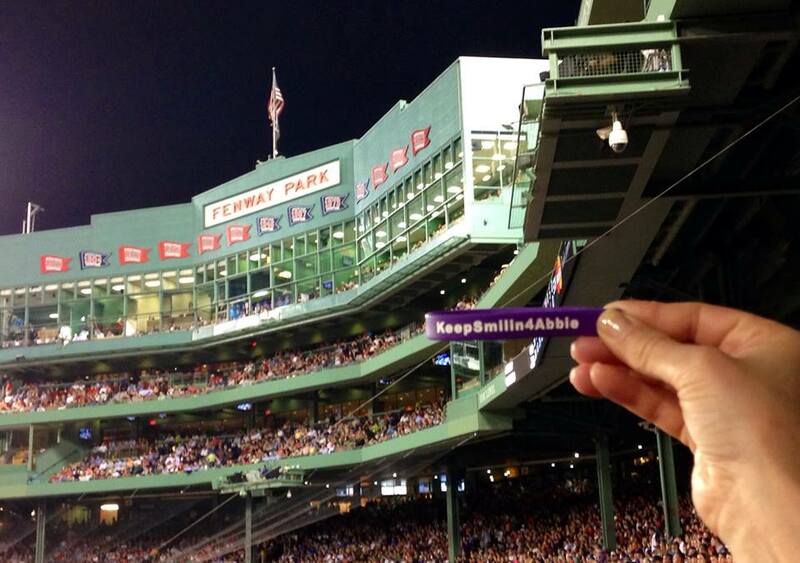 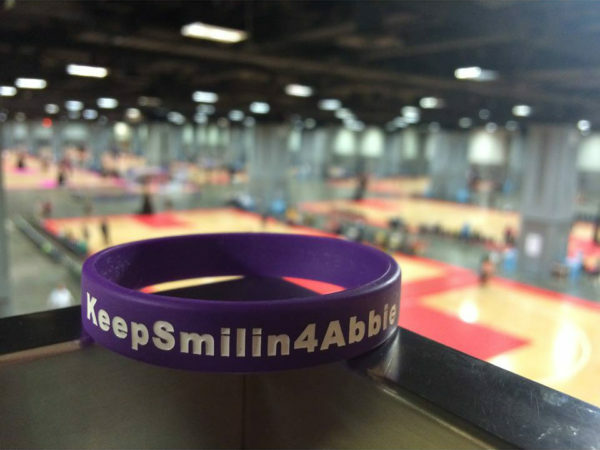 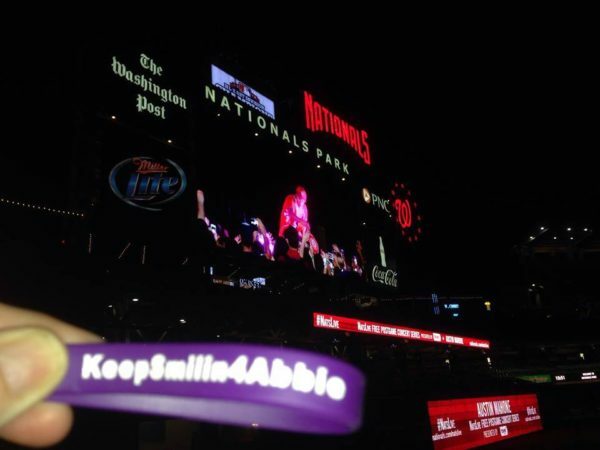 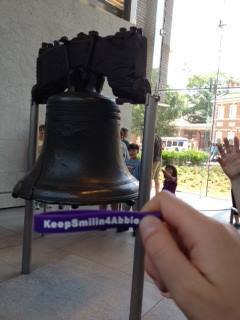 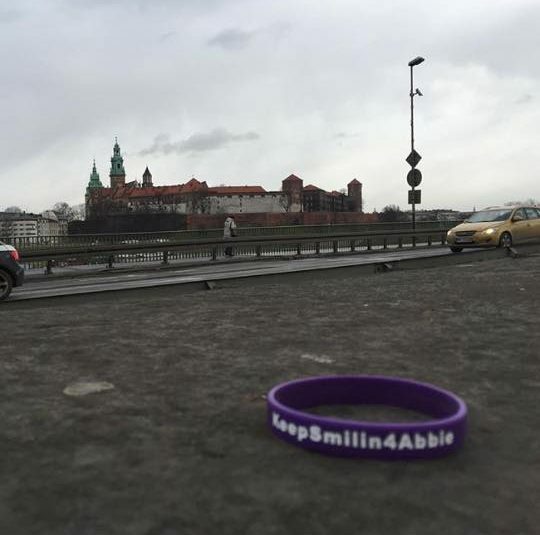 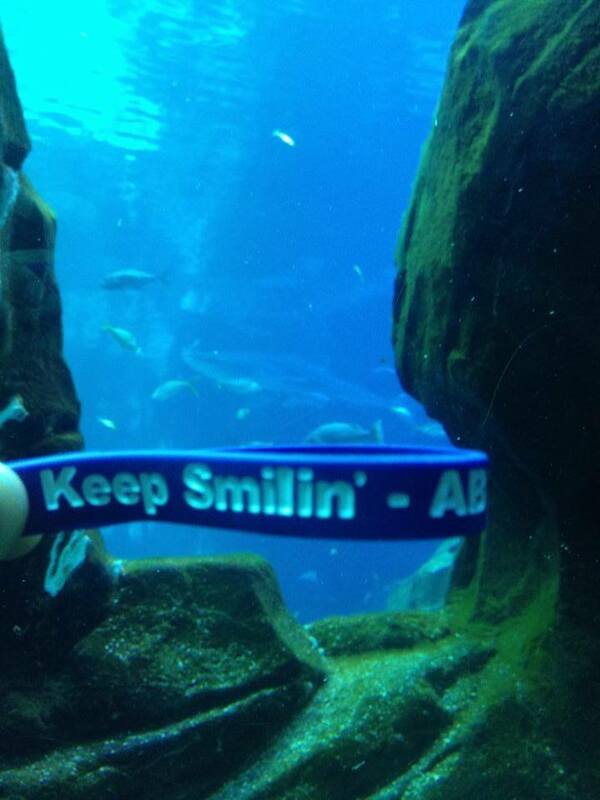 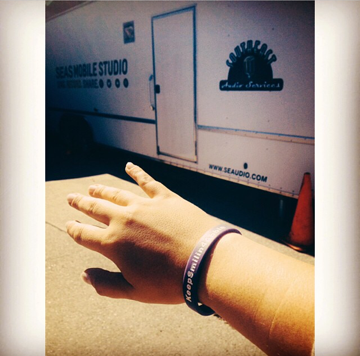 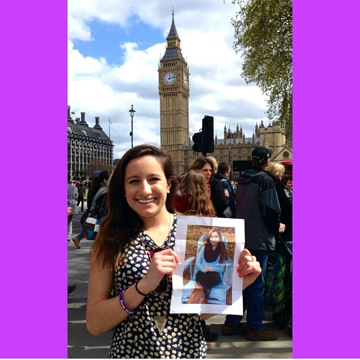 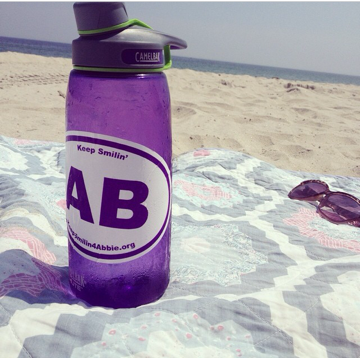 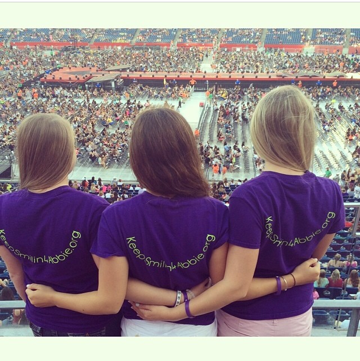 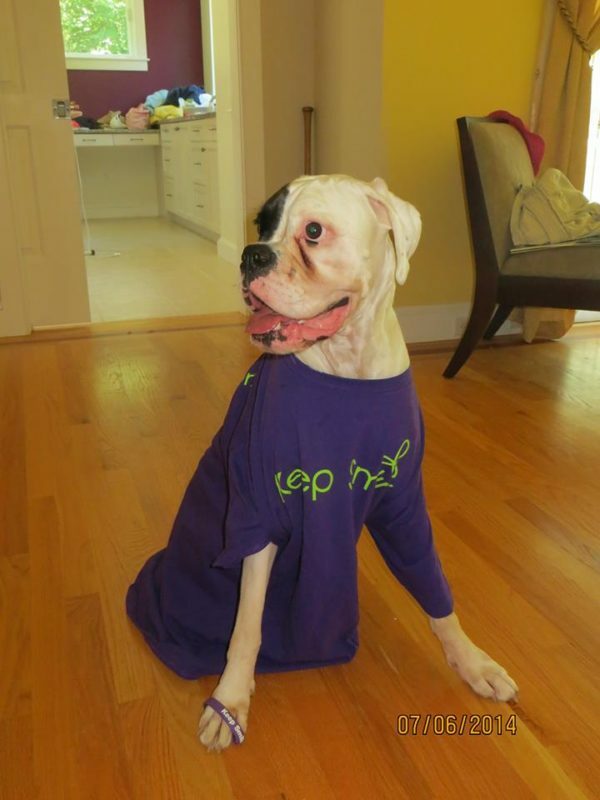 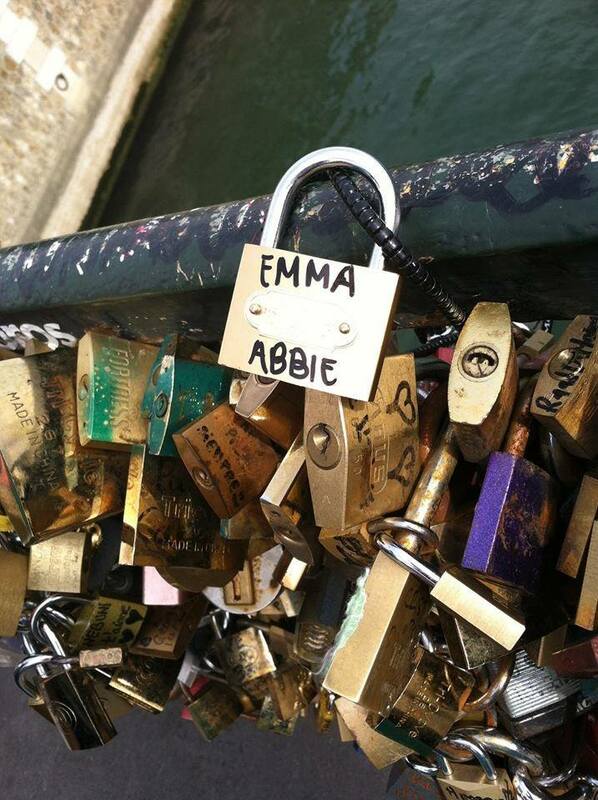 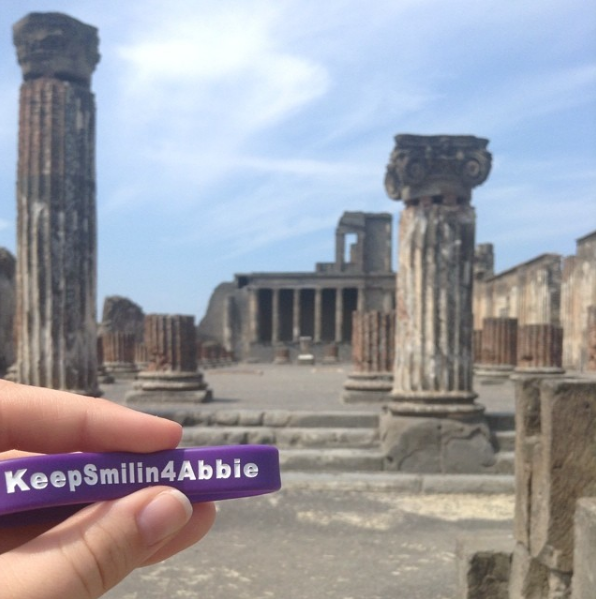 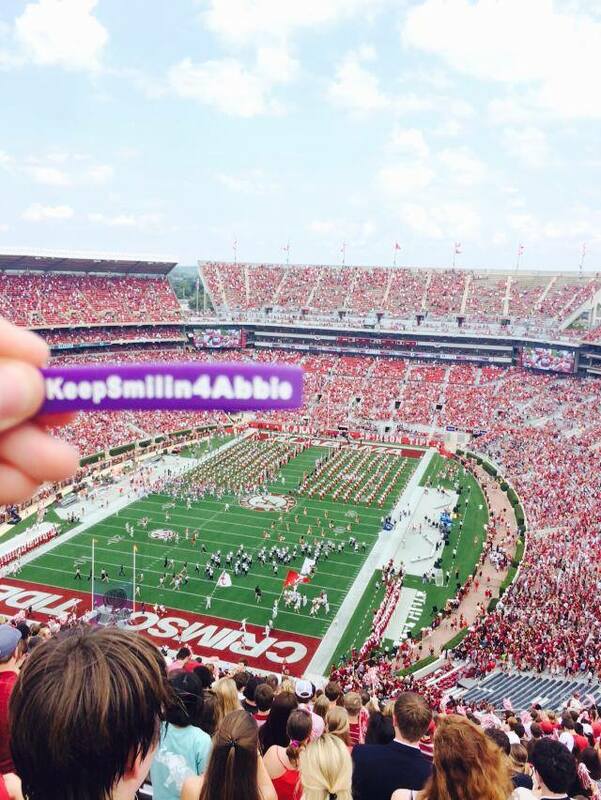 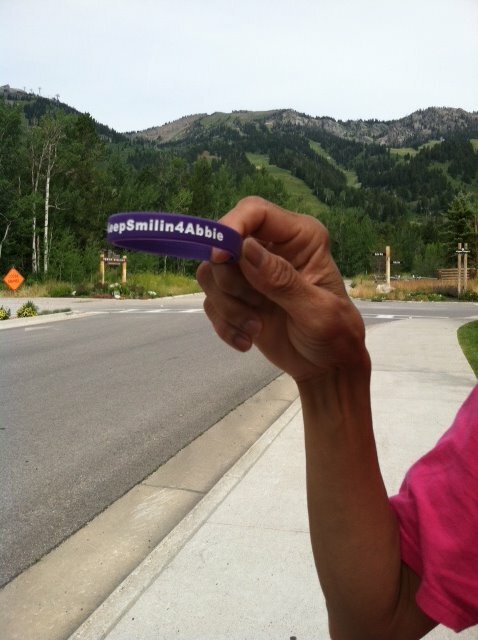 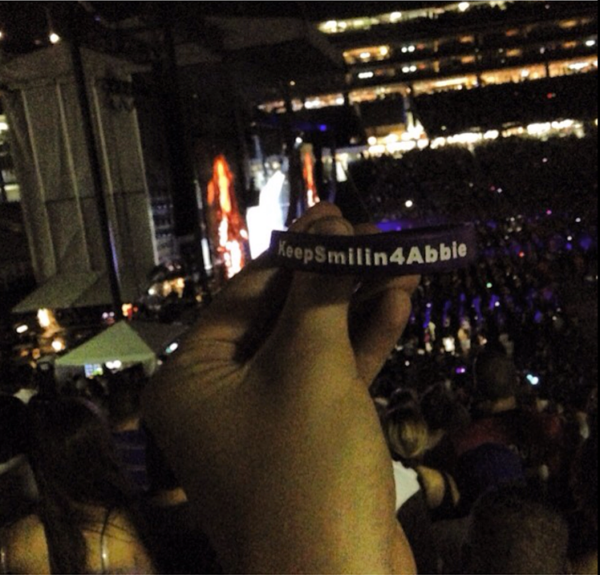 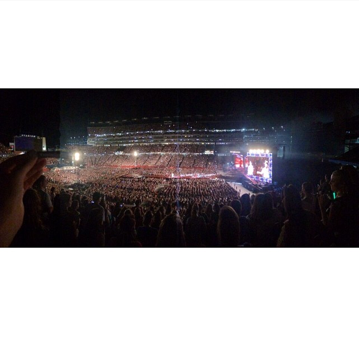 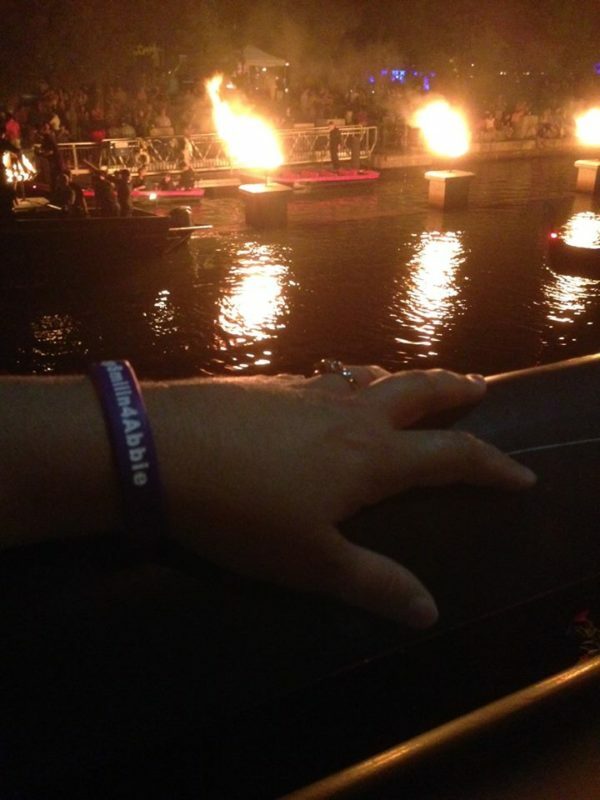 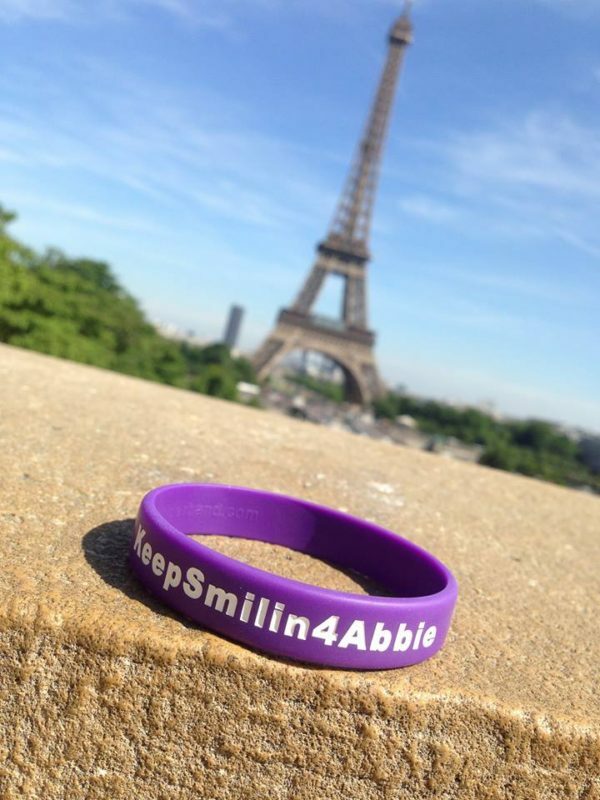 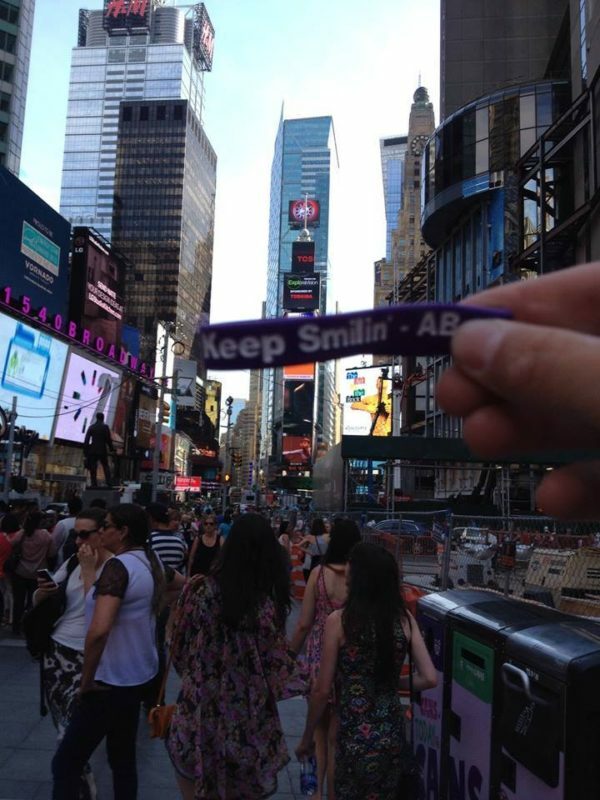 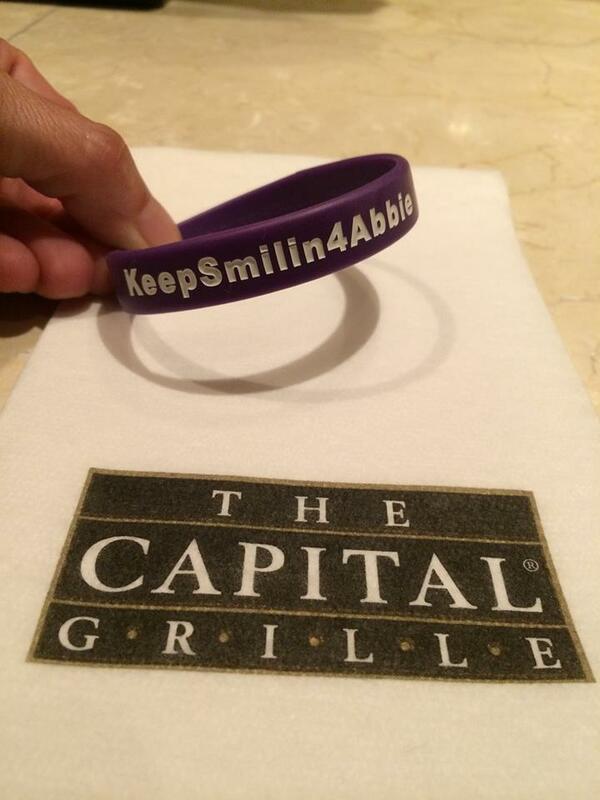 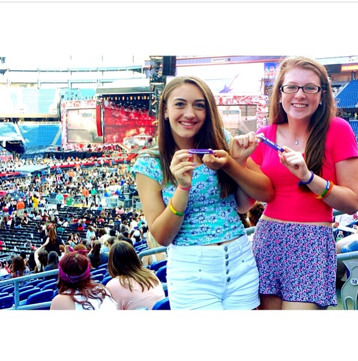 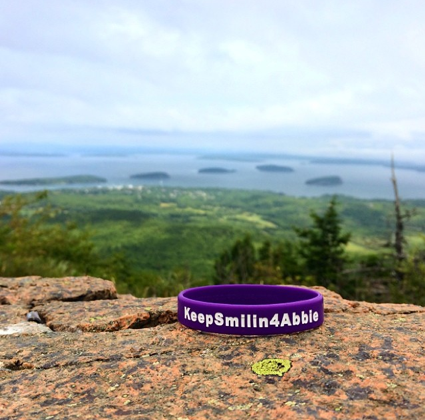 Take Abbie around the world with you! 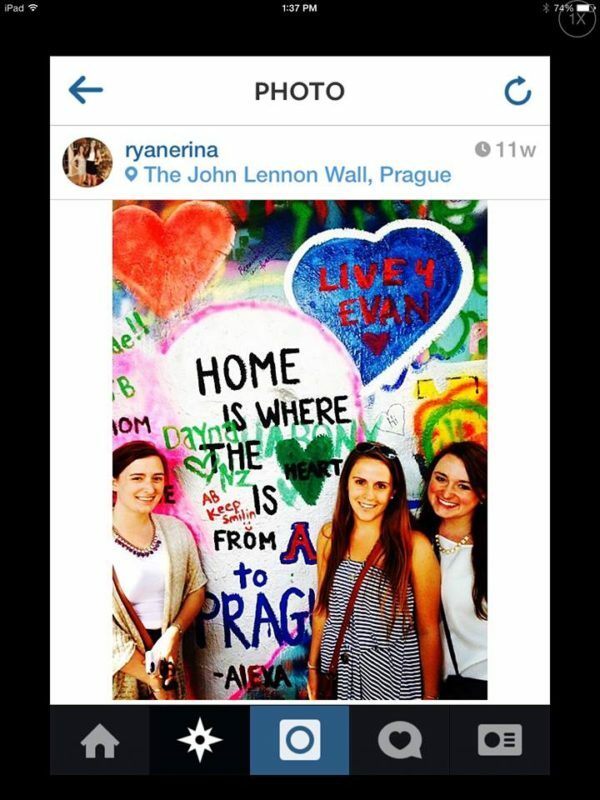 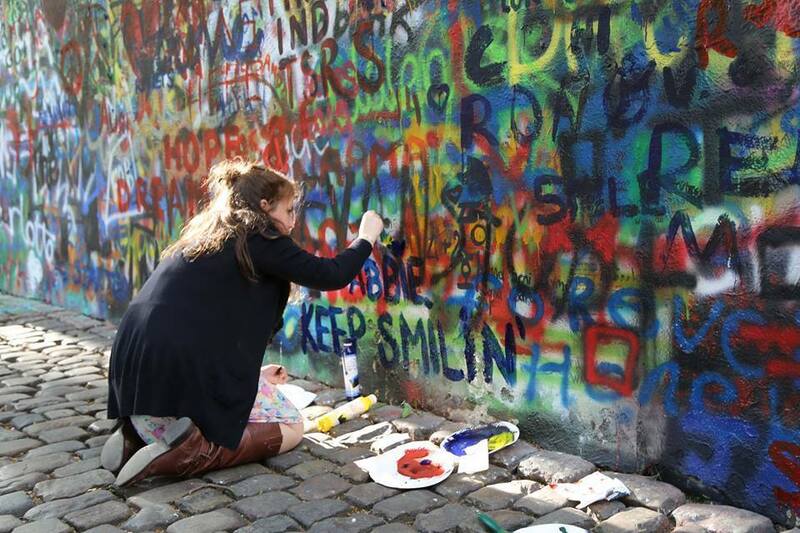 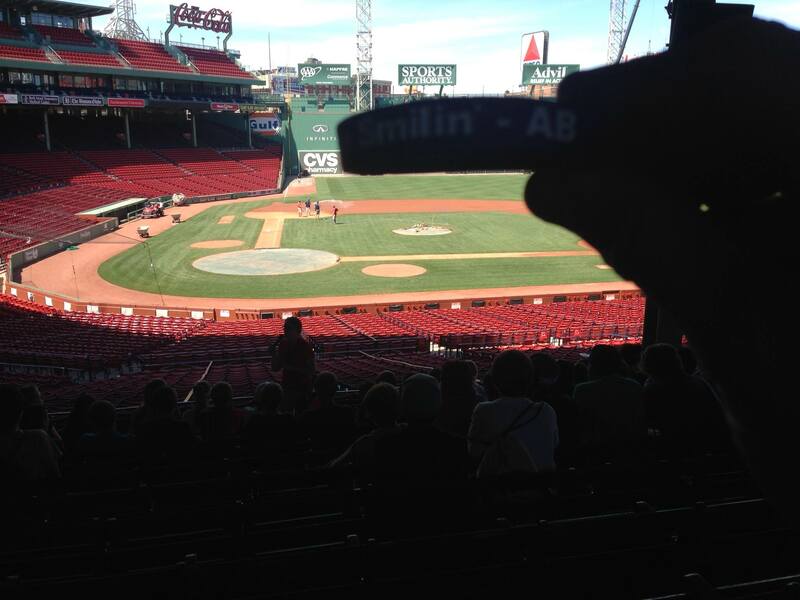 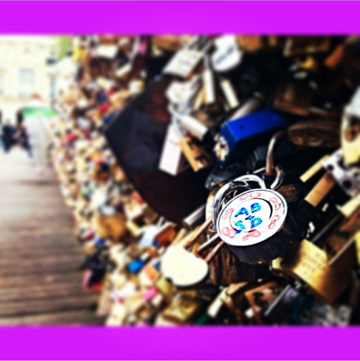 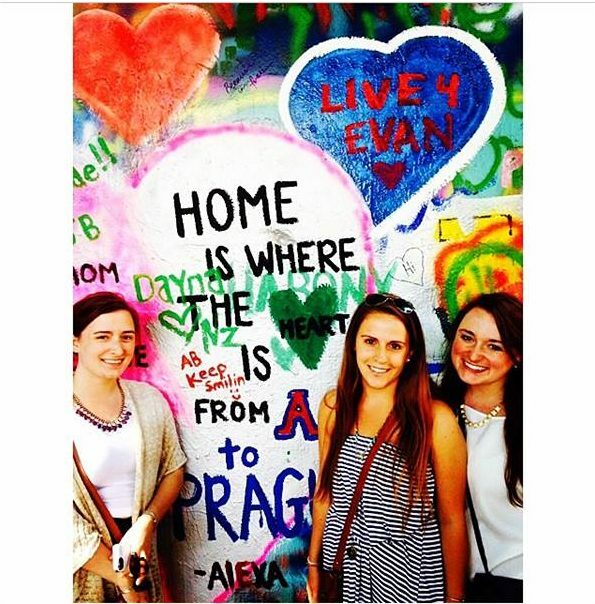 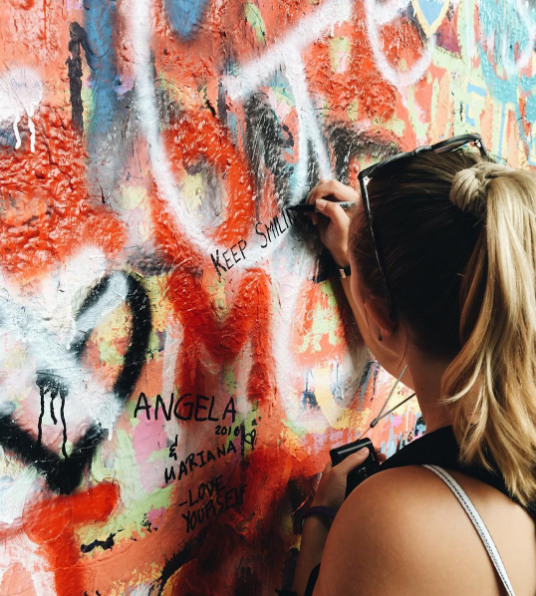 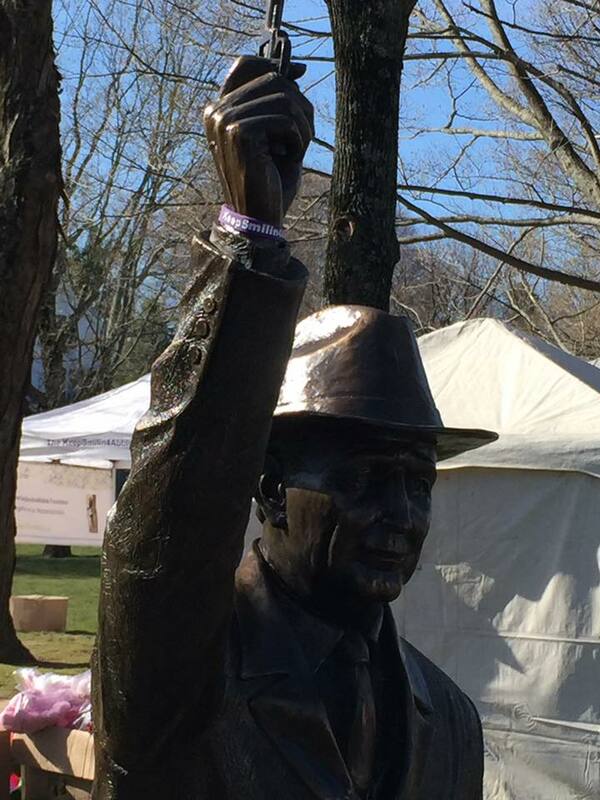 Our supporters have been everywhere from Fenway Park in Boston to the John Lennon Wall in Prague. 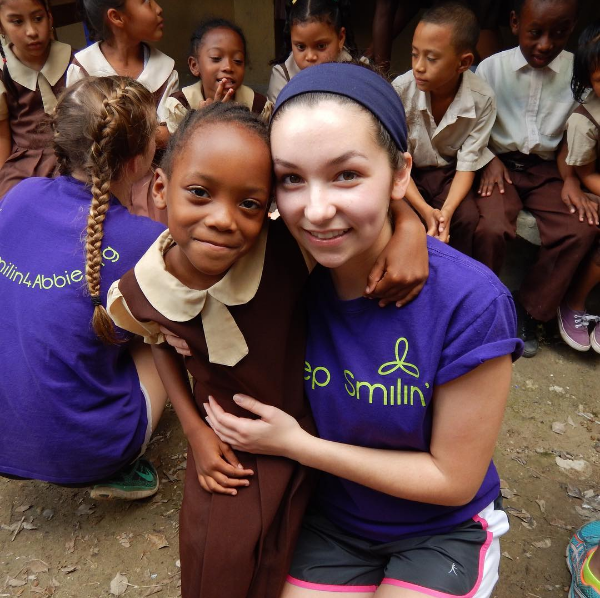 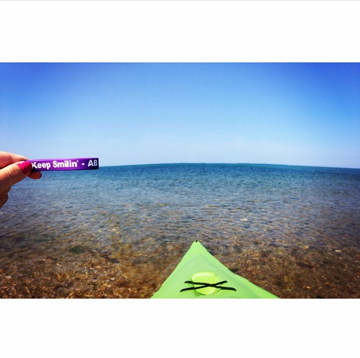 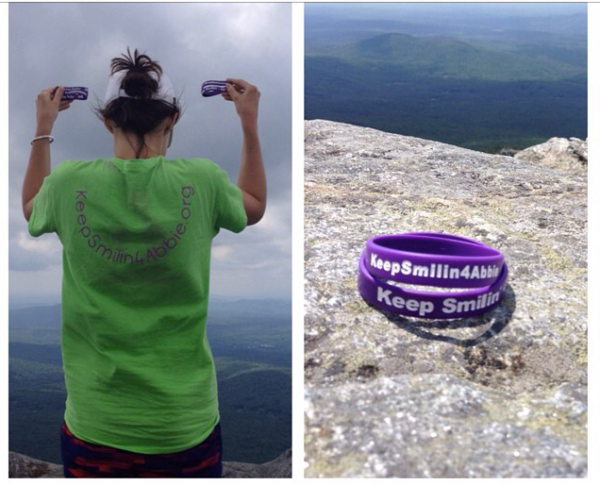 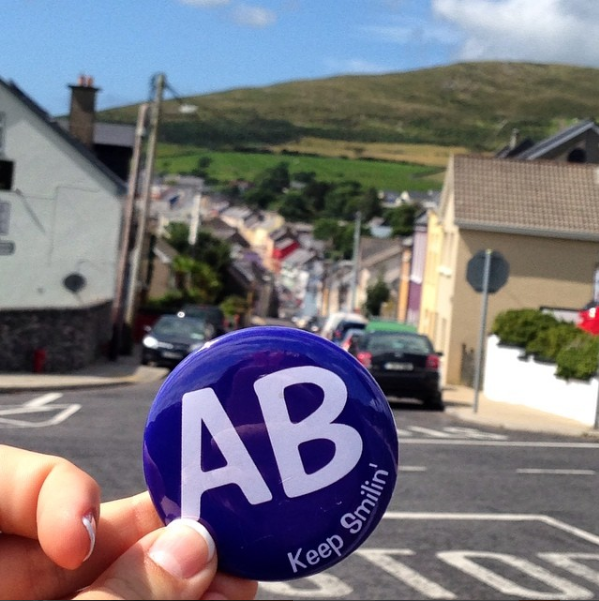 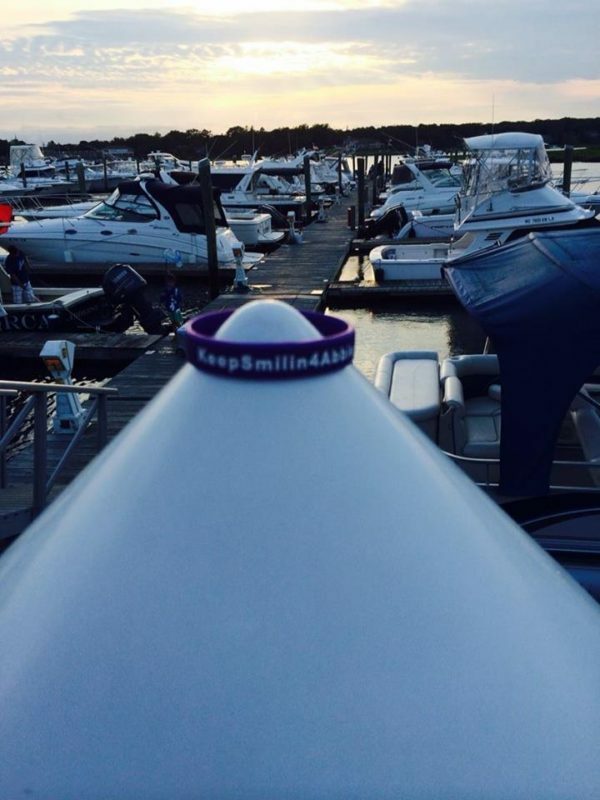 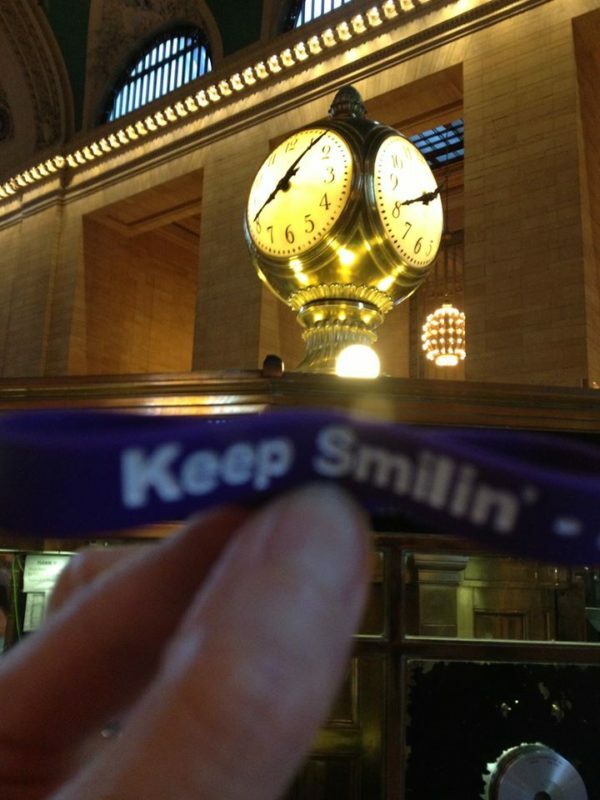 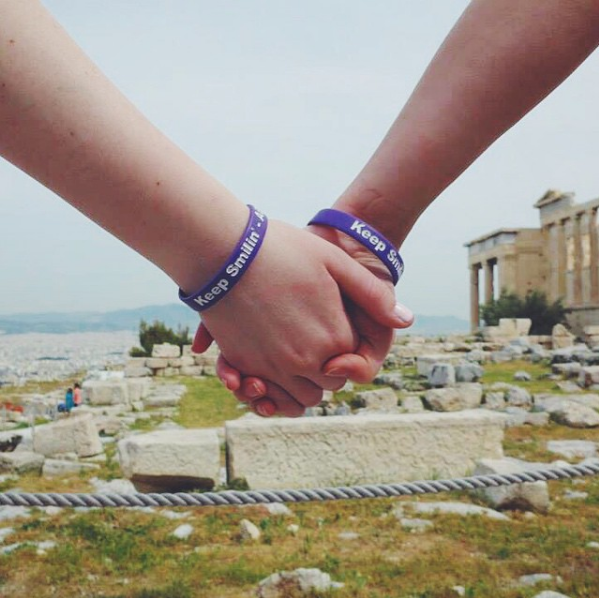 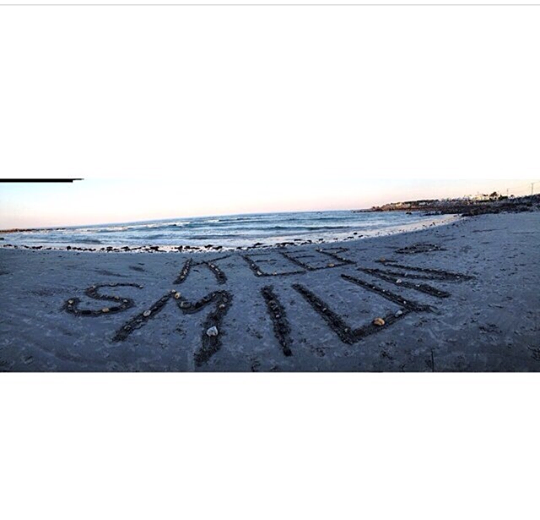 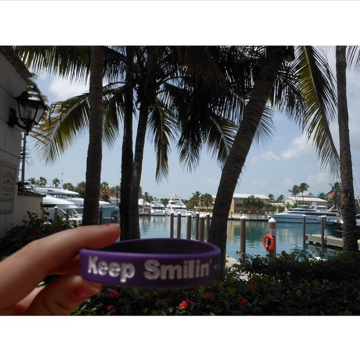 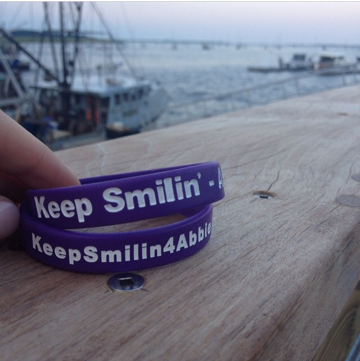 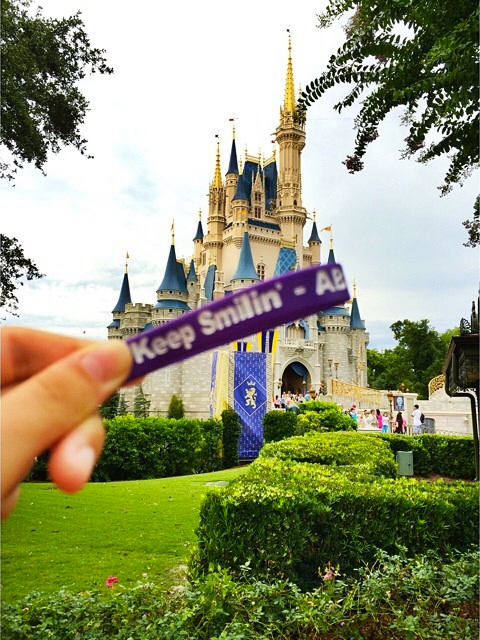 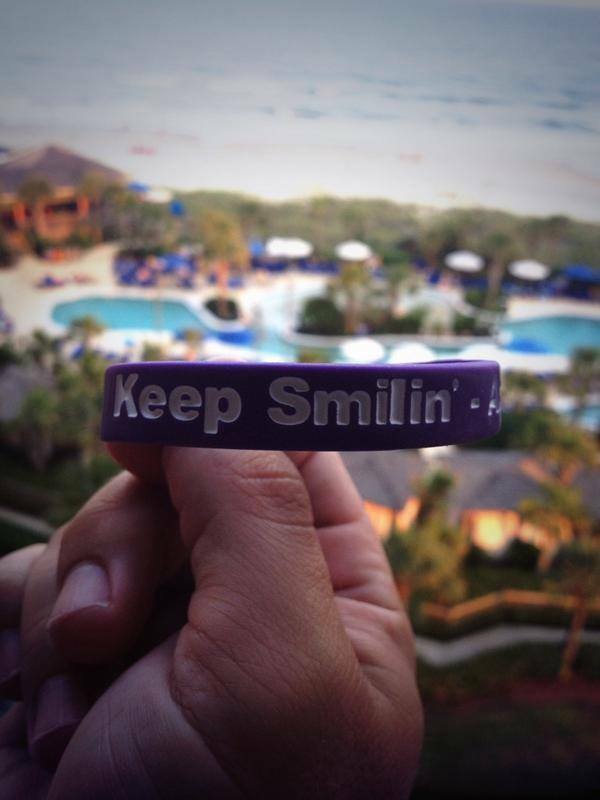 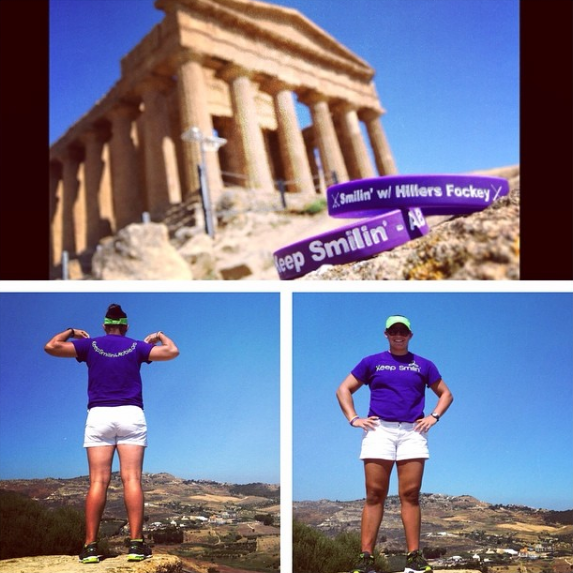 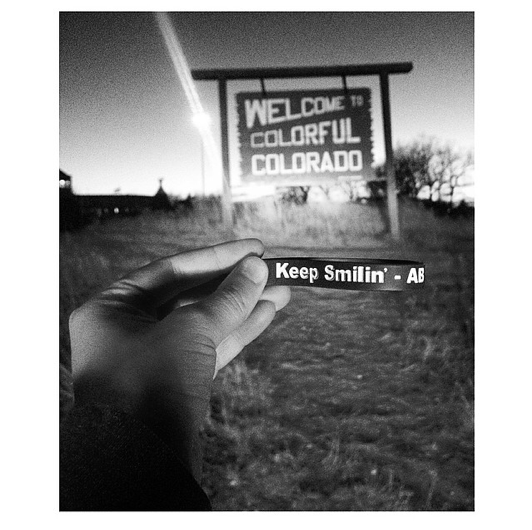 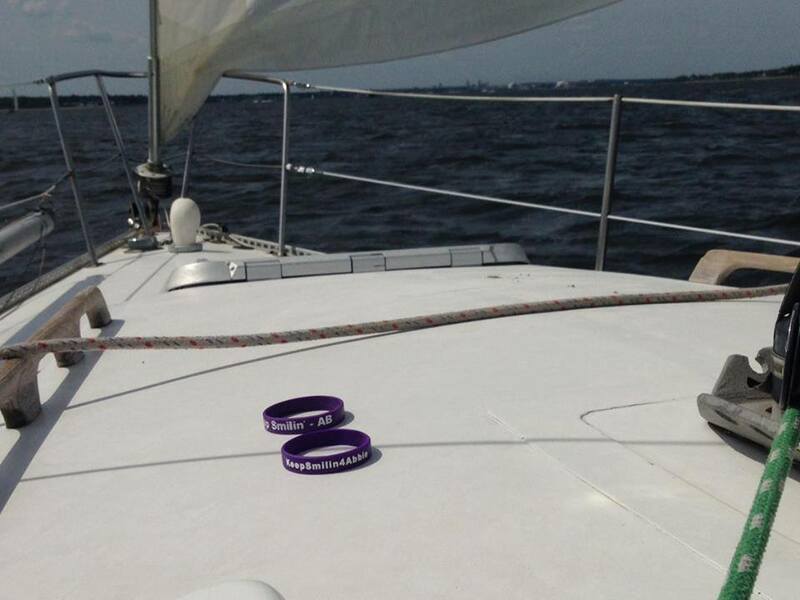 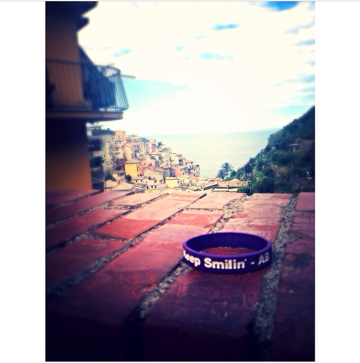 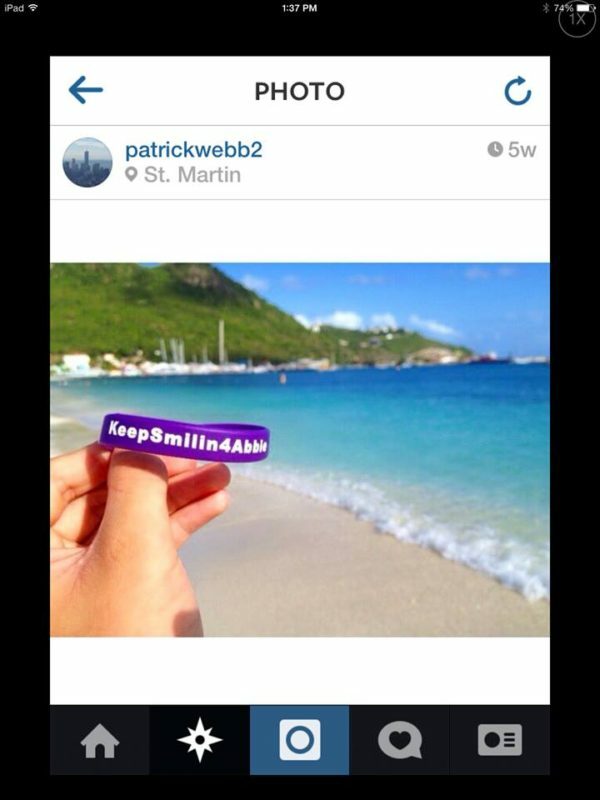 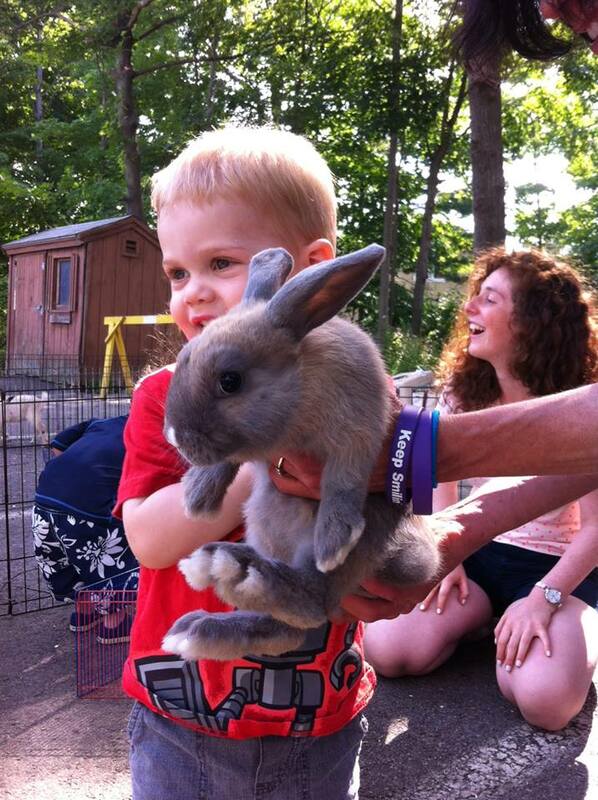 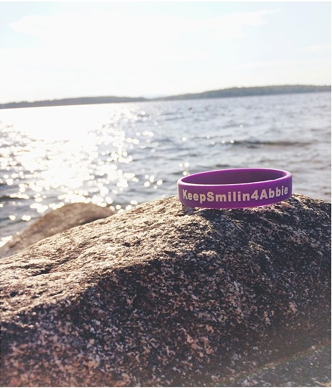 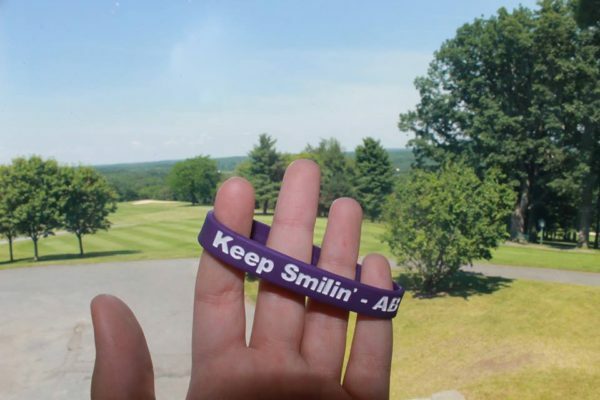 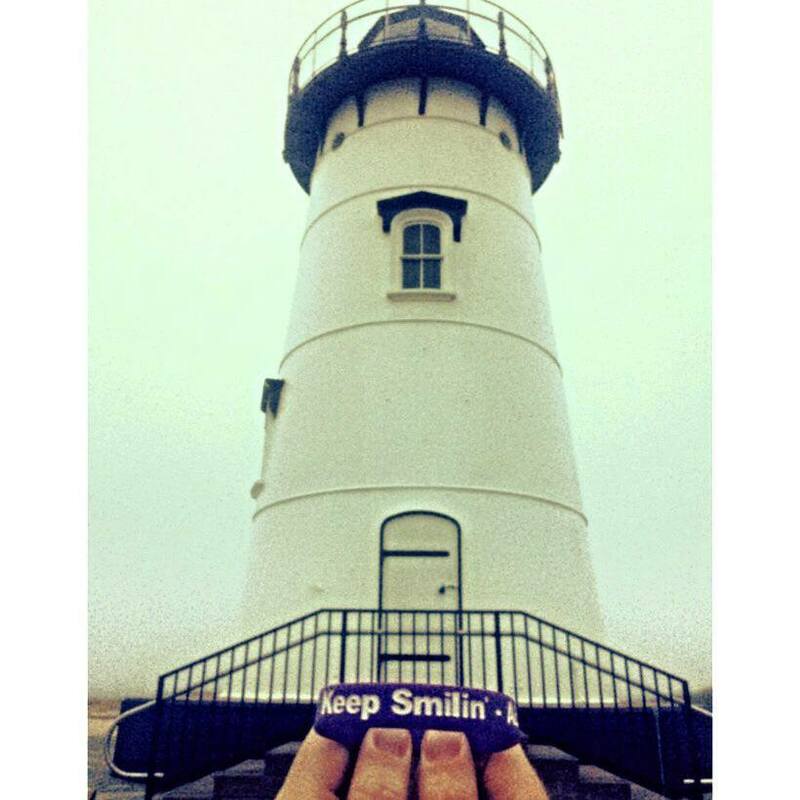 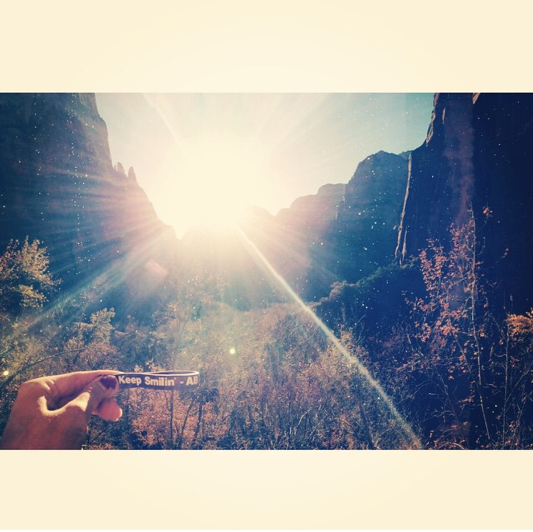 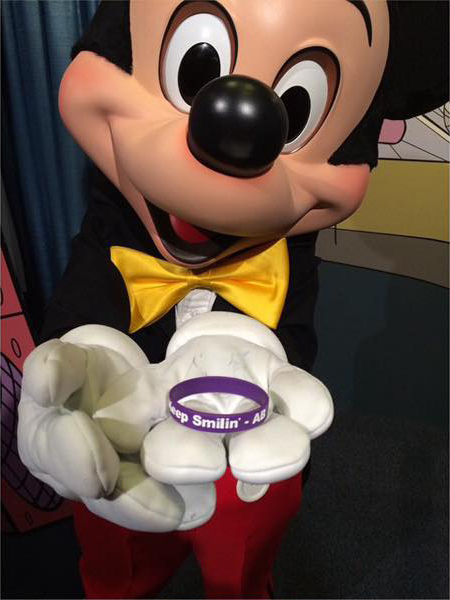 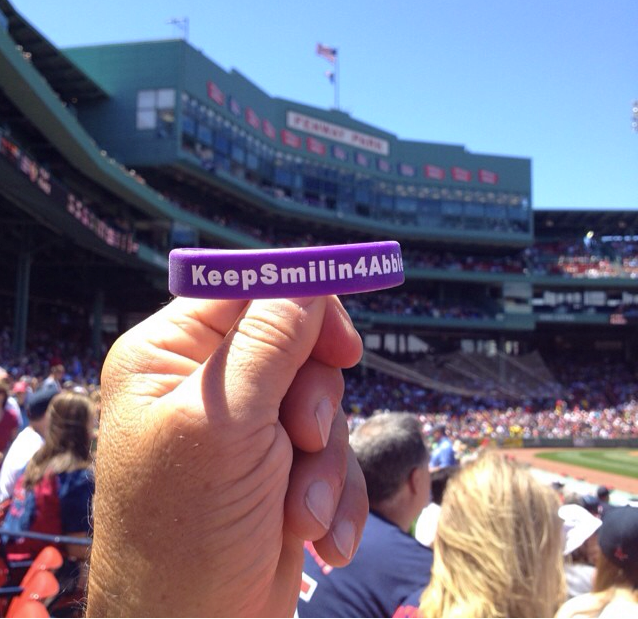 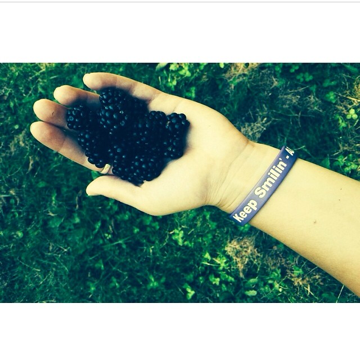 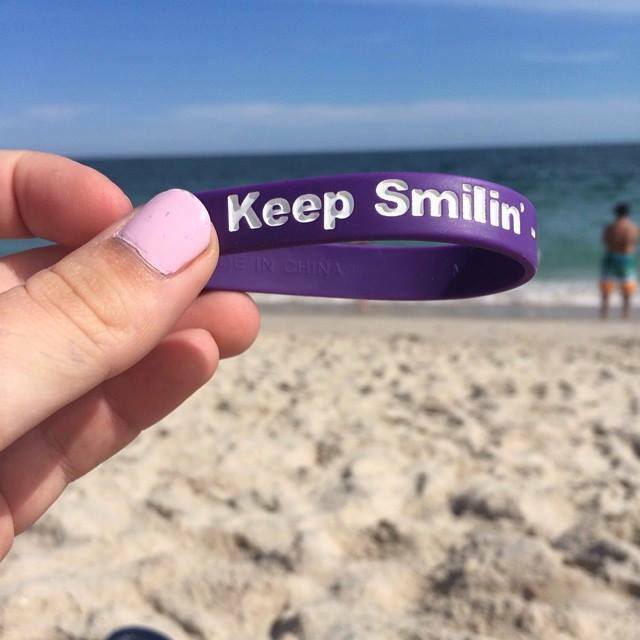 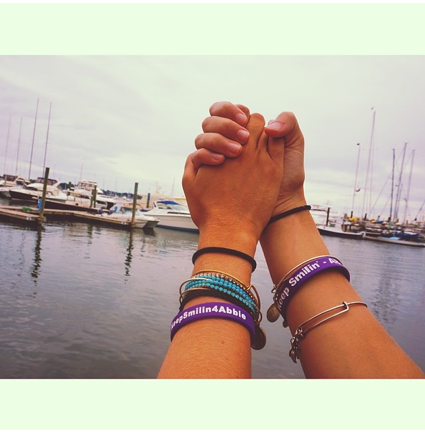 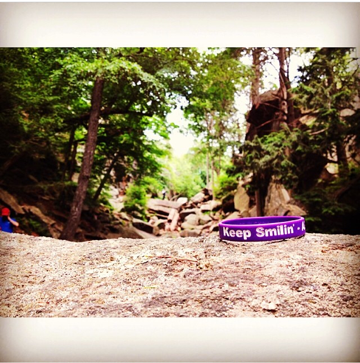 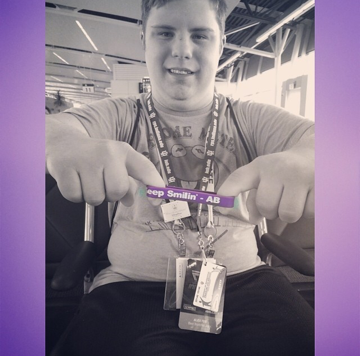 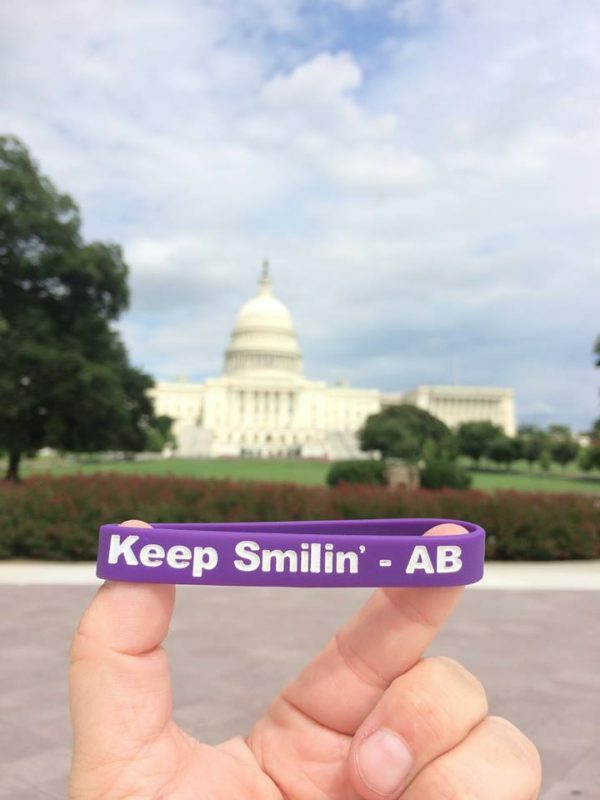 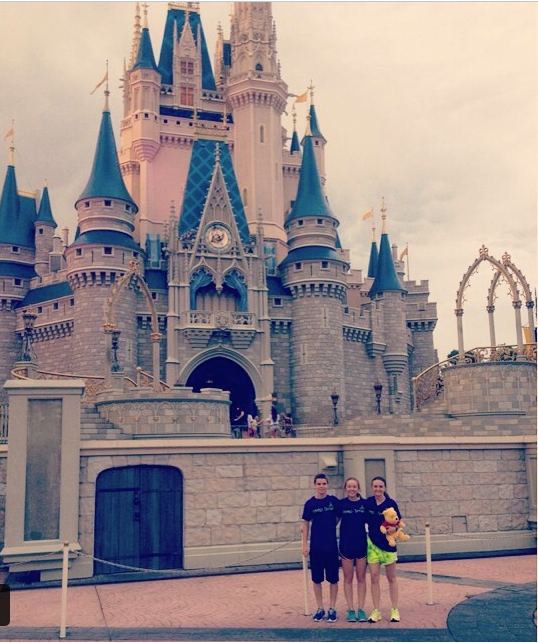 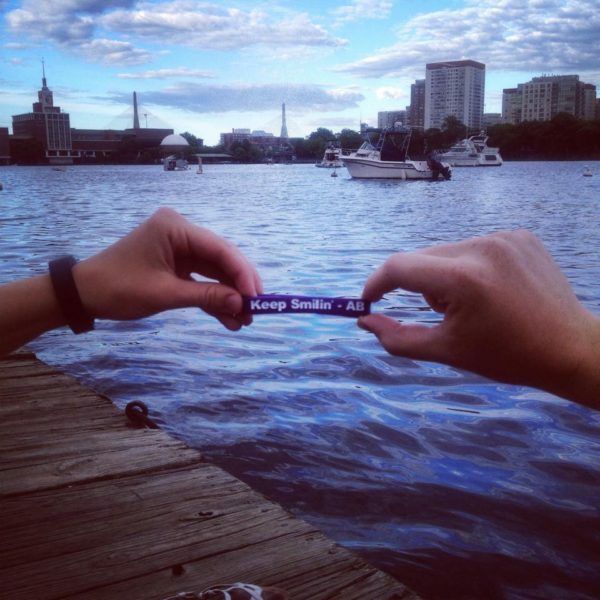 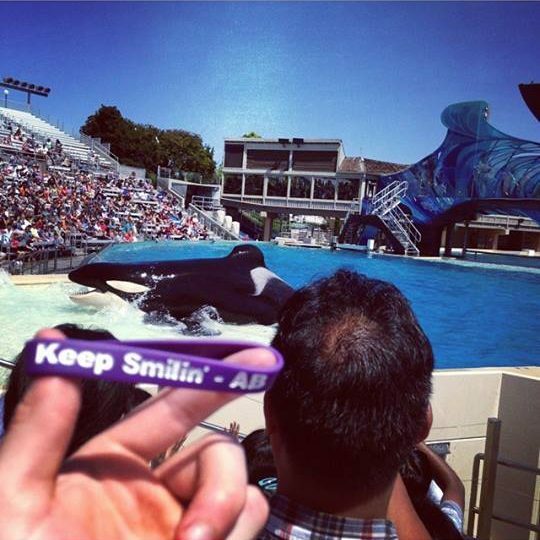 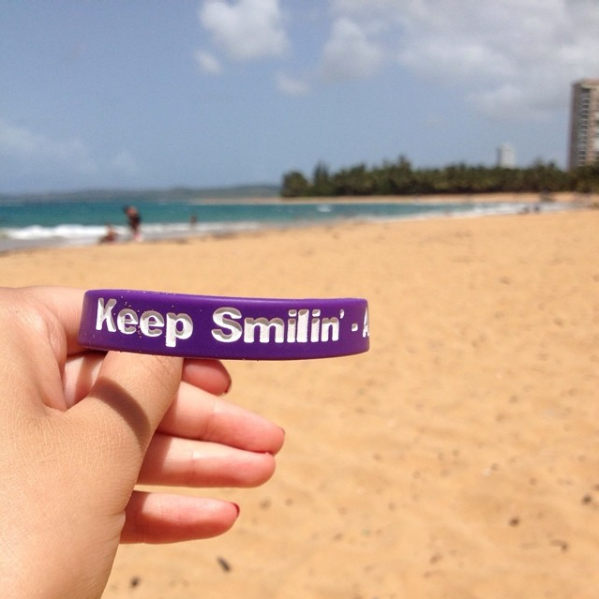 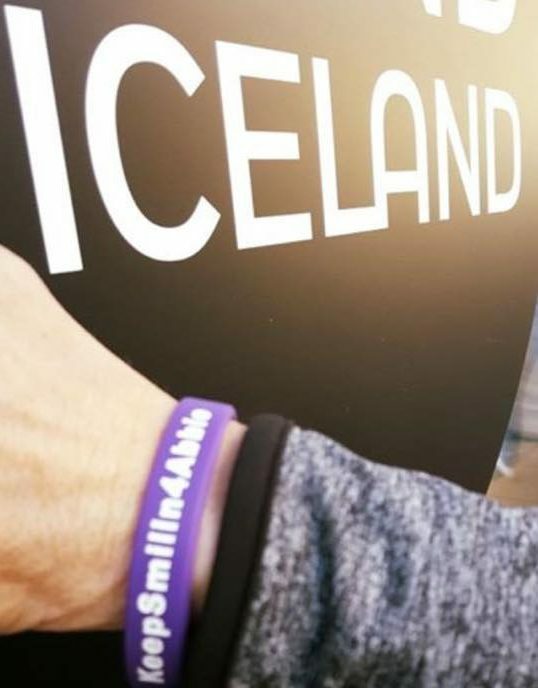 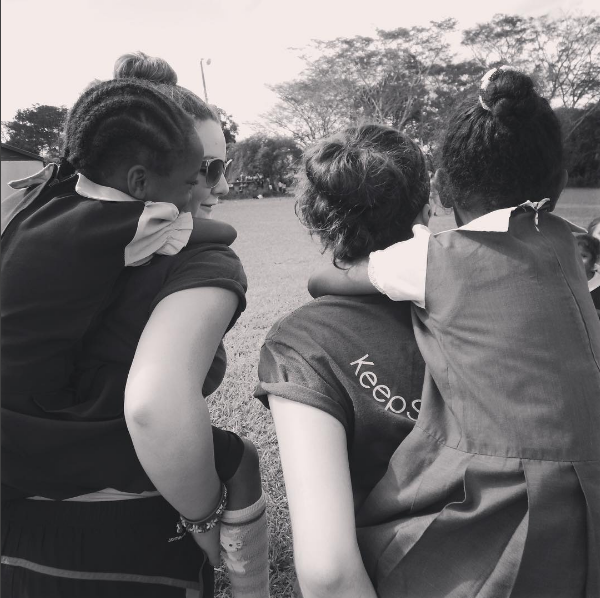 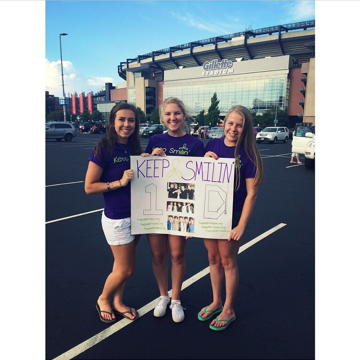 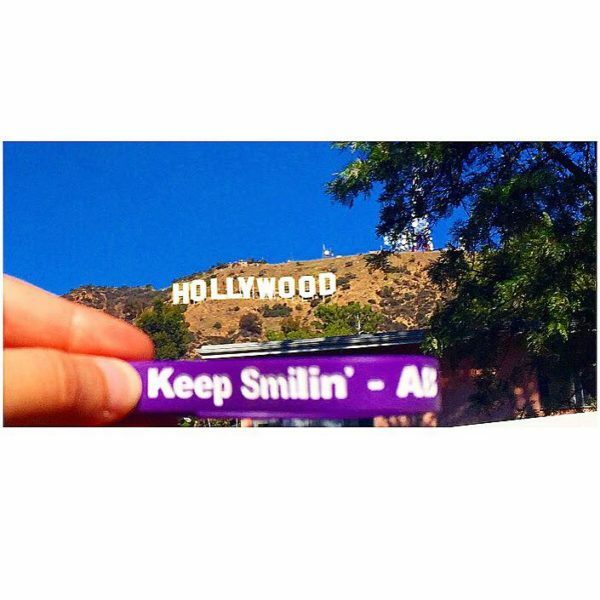 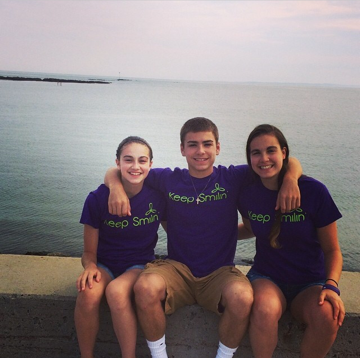 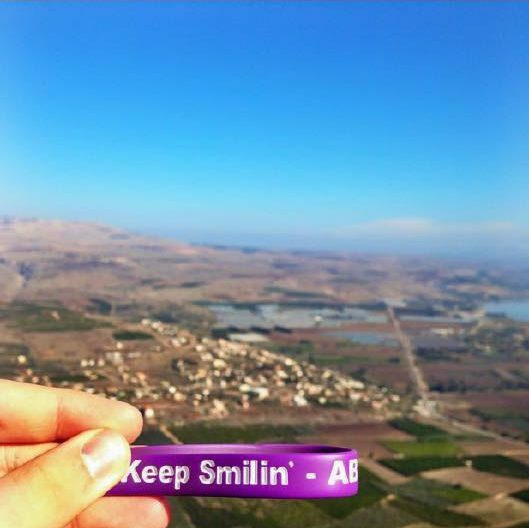 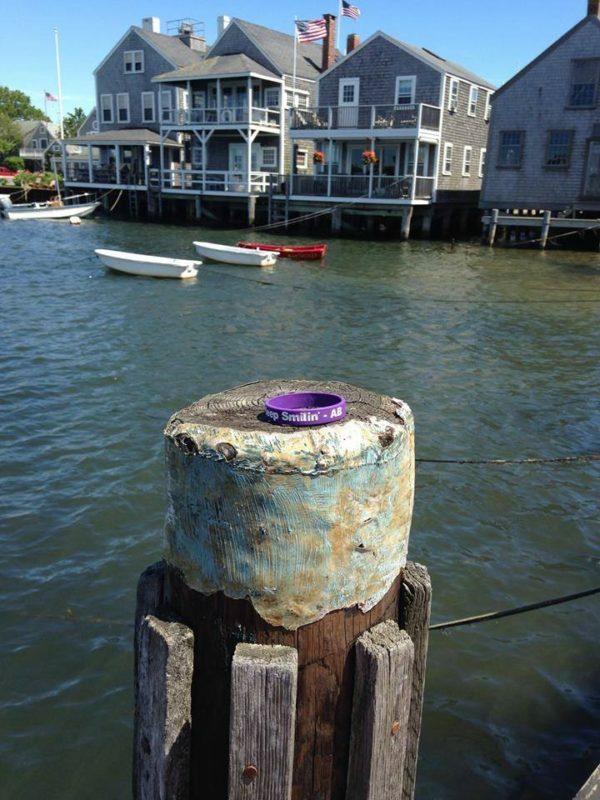 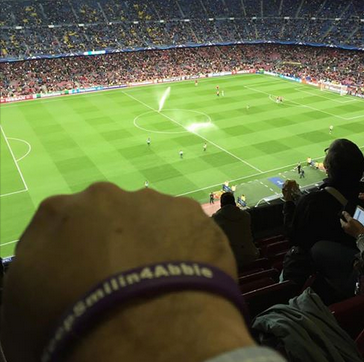 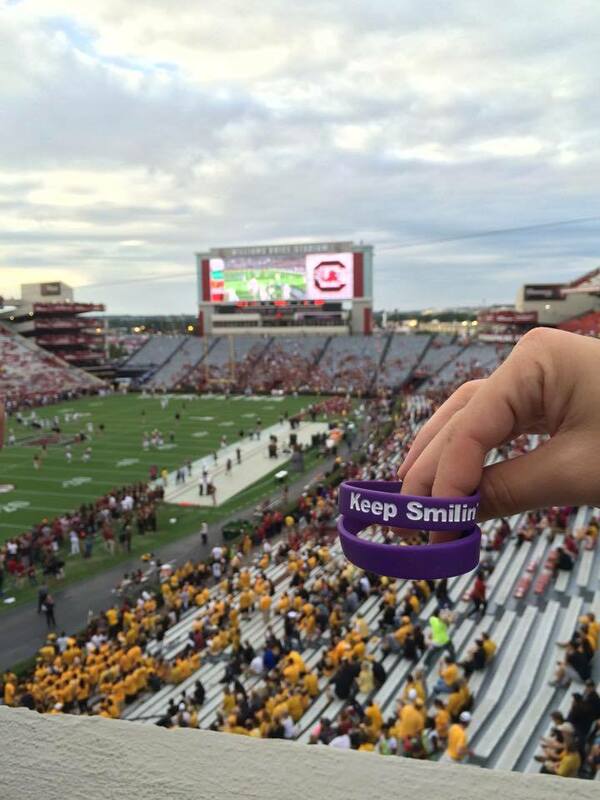 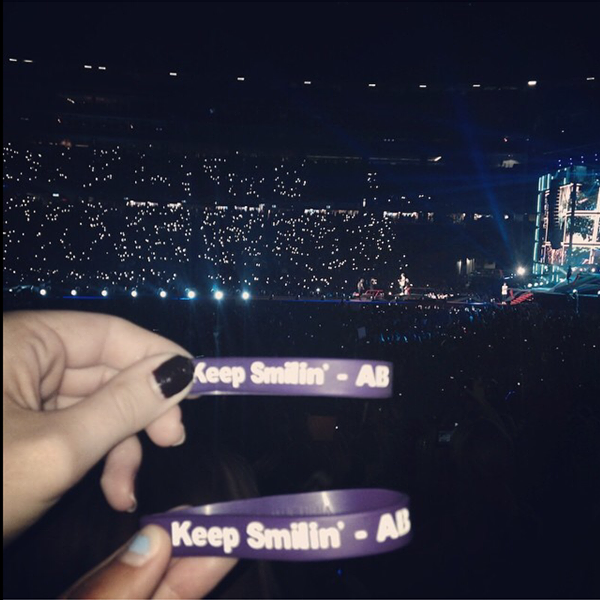 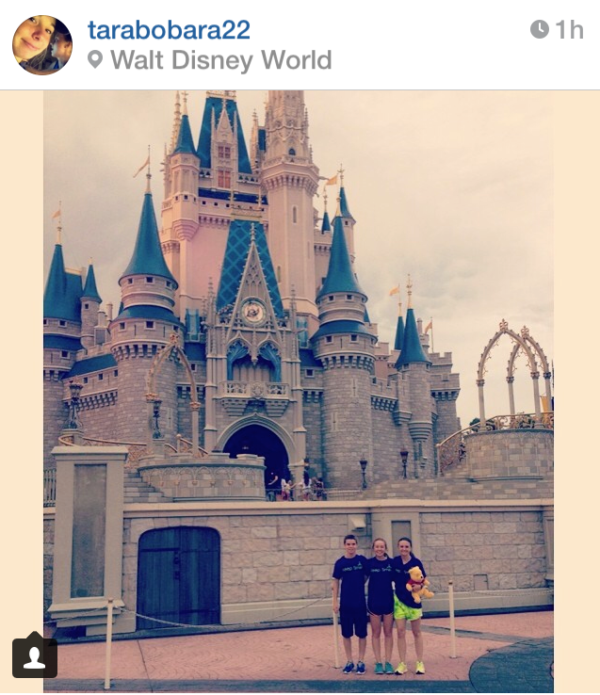 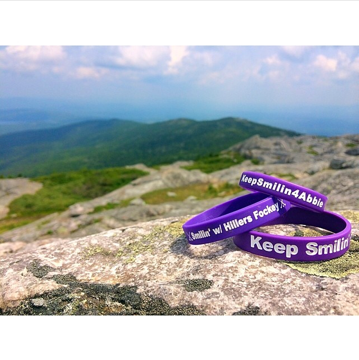 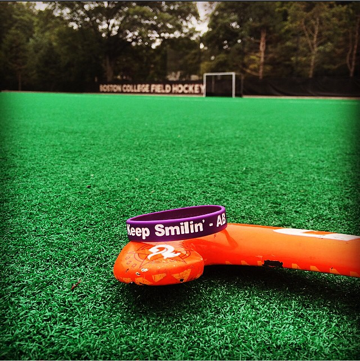 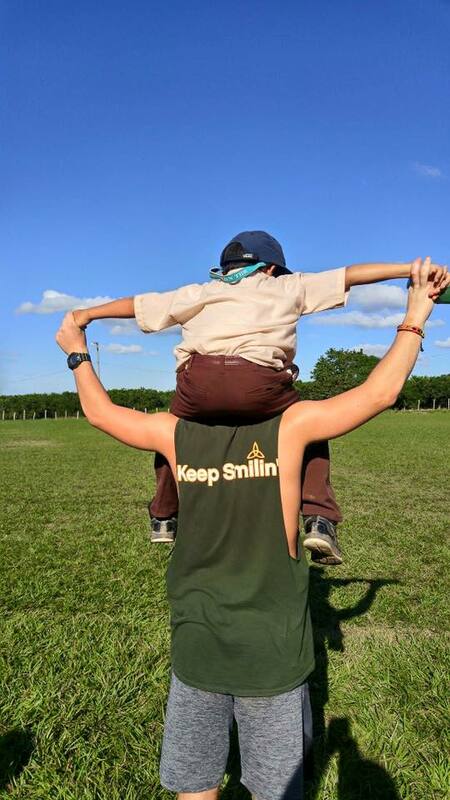 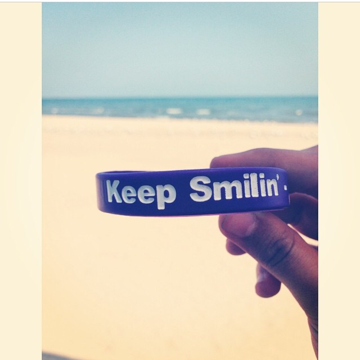 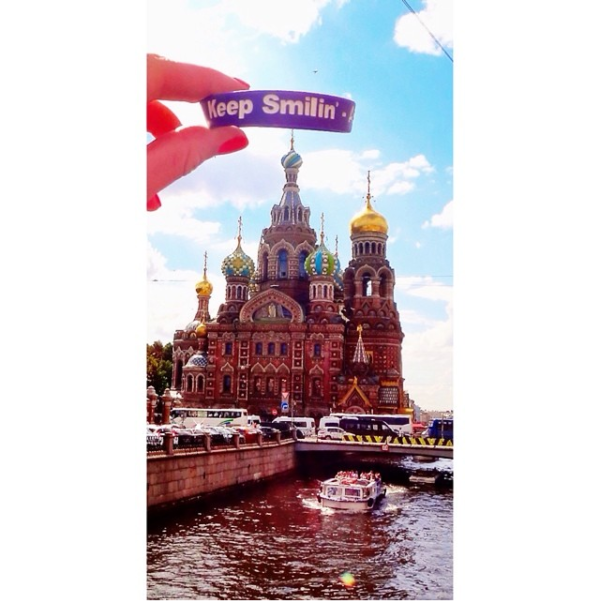 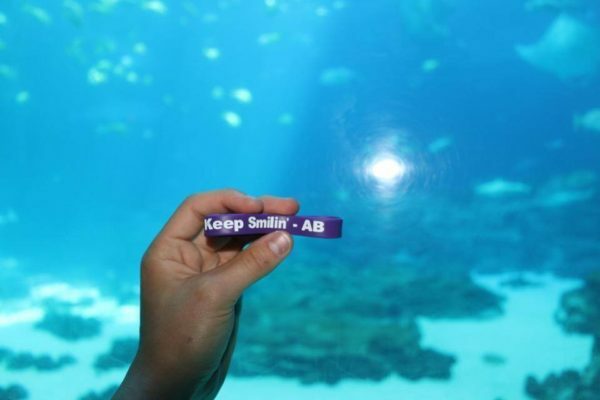 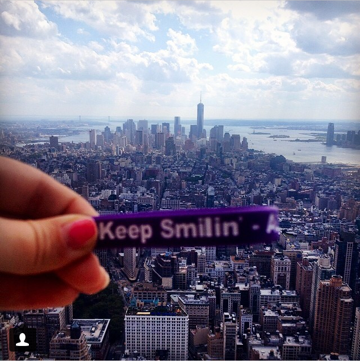 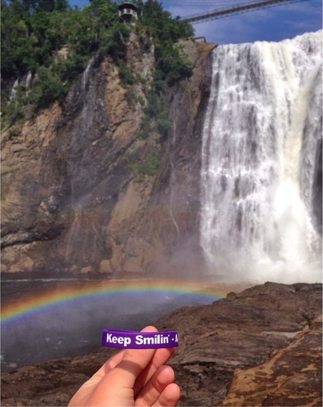 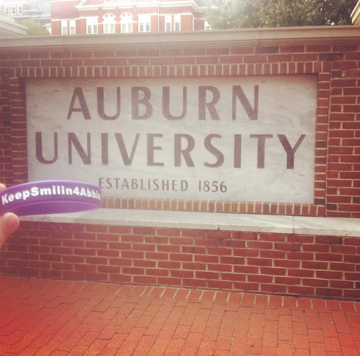 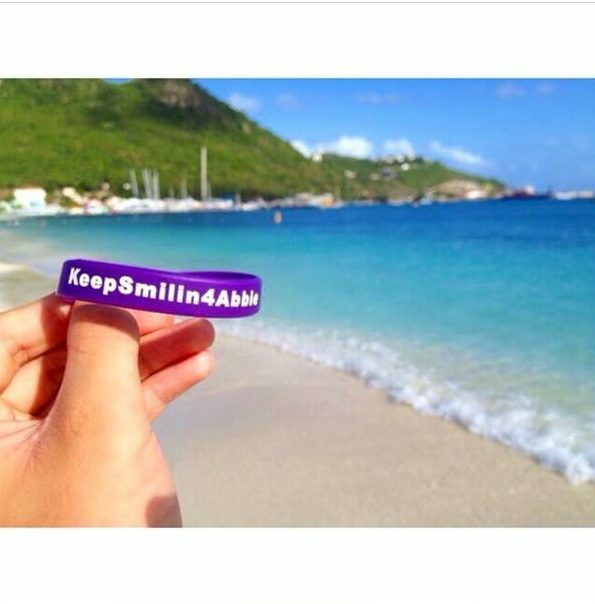 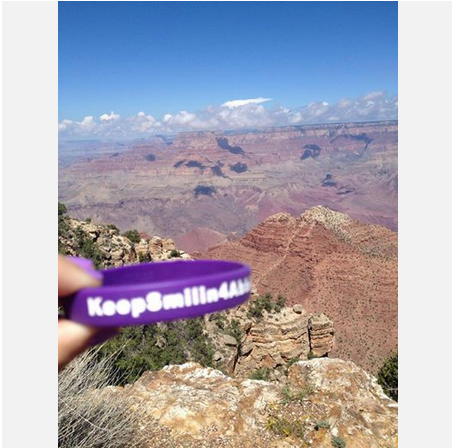 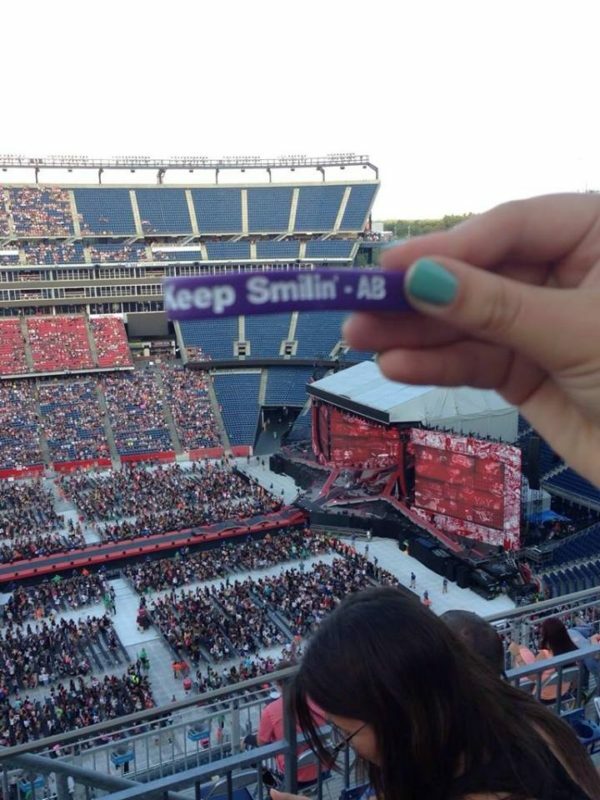 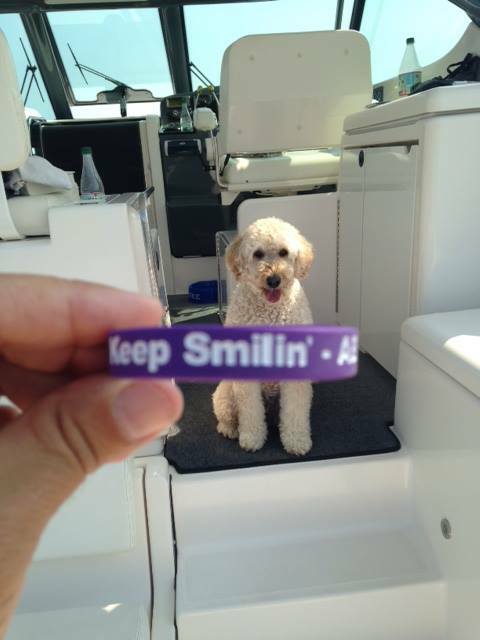 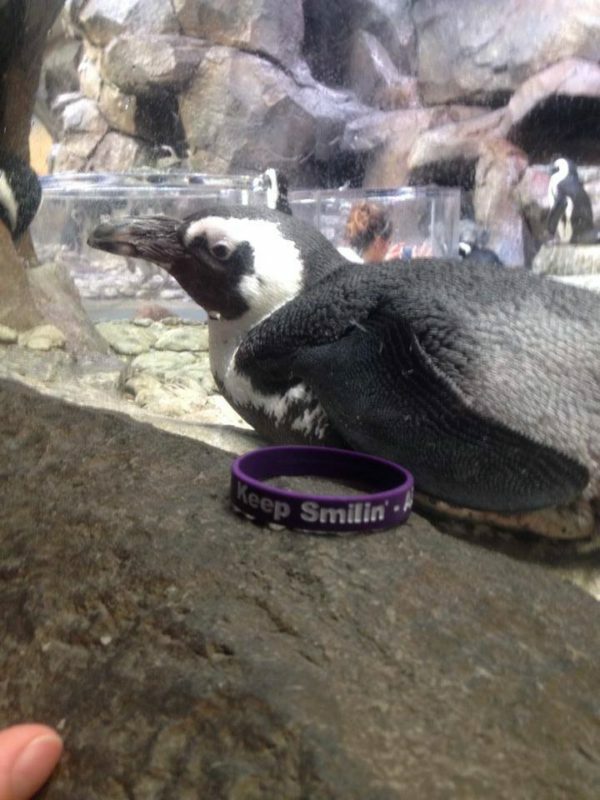 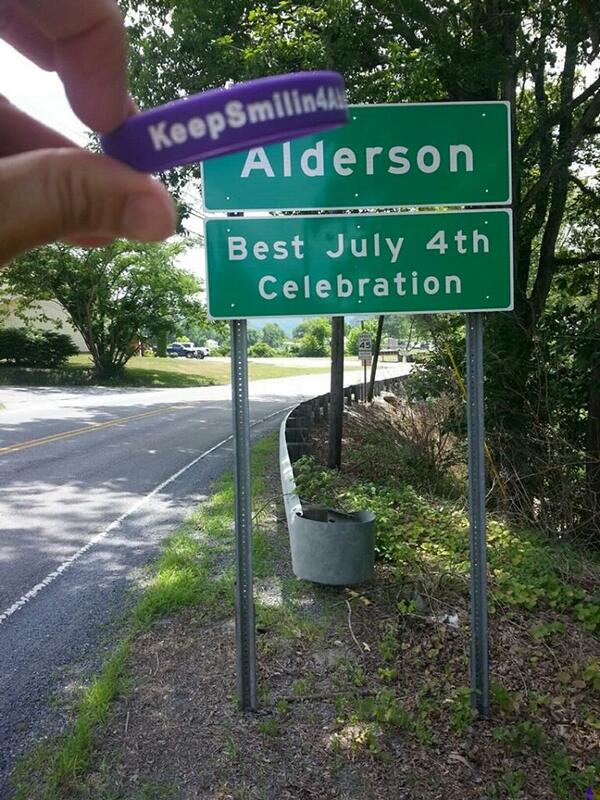 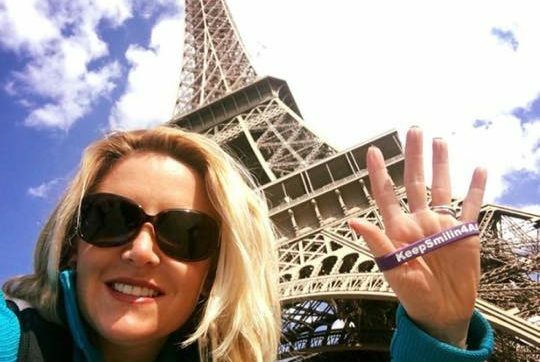 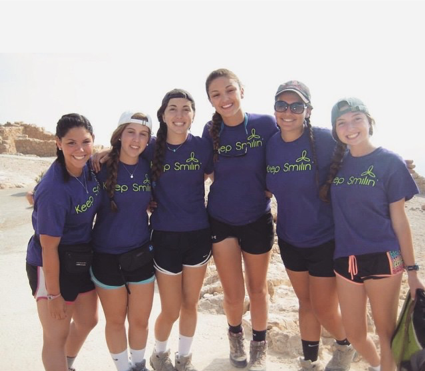 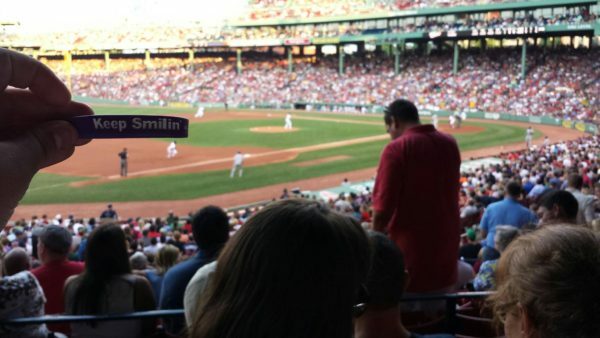 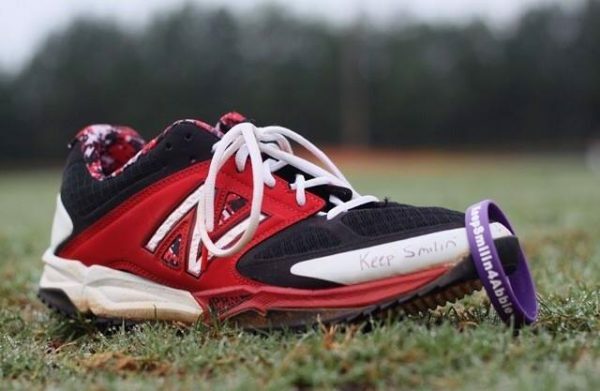 Join our active community by posting your own photos with the hashtag #SmilinAroundTheWorld. 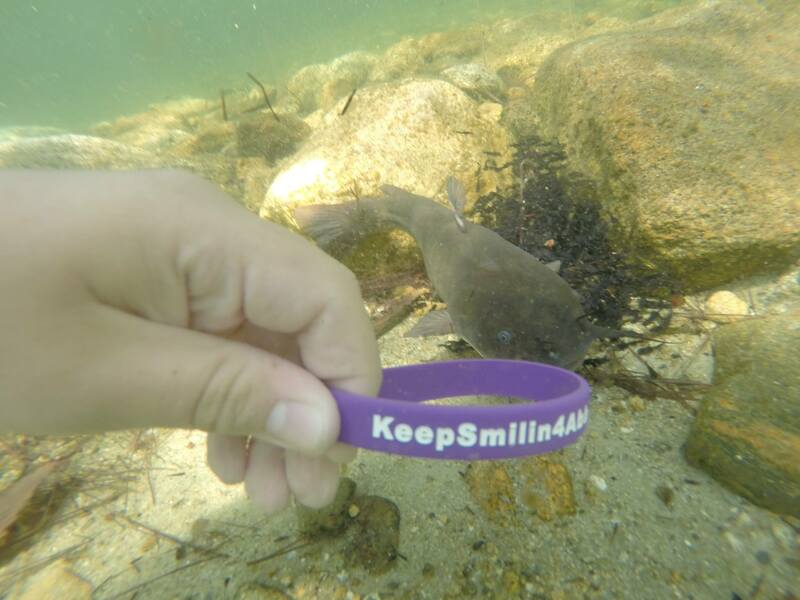 Jennie Bogaert and her pet catfish @ Lake Winnipesaukee. 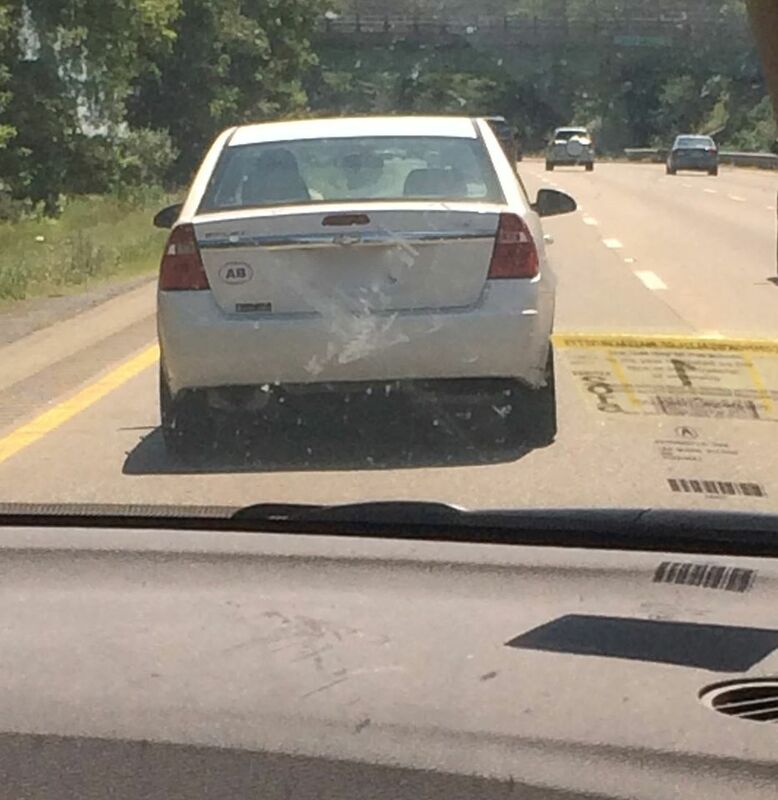 Mary Ellen Duggan @ Alderson, West Virginia. 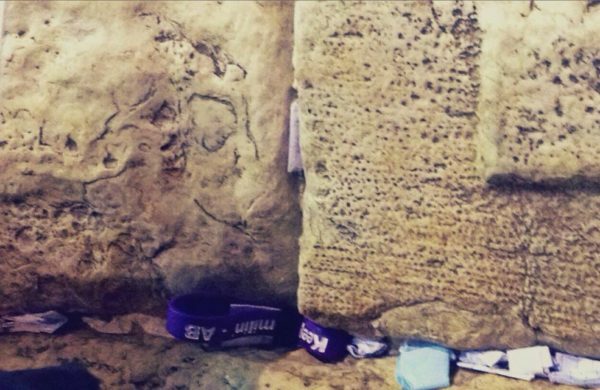 Becca Collins @ The Wailing Wall – Jerusalem. 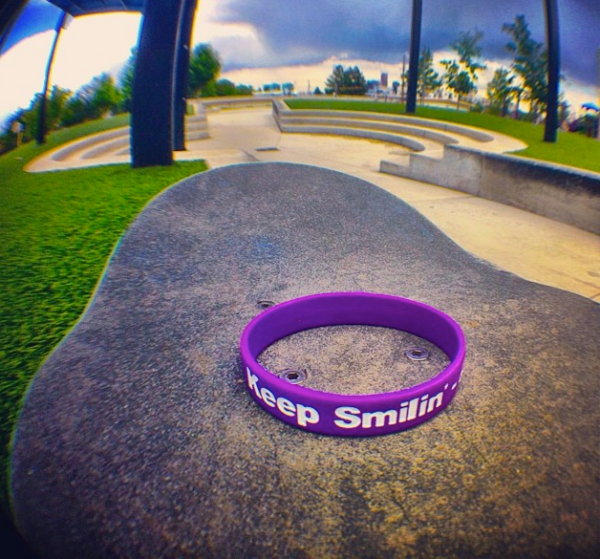 Stephanie Puig @ Winter Park Colorado Skate Park. 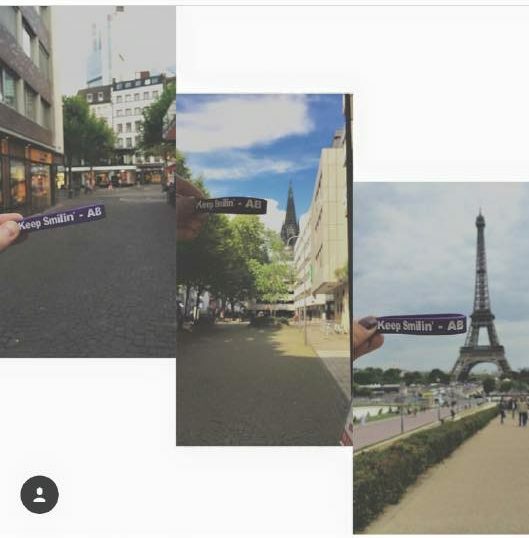 Lulu Ward @ Eiffel Tower, Paris, France. 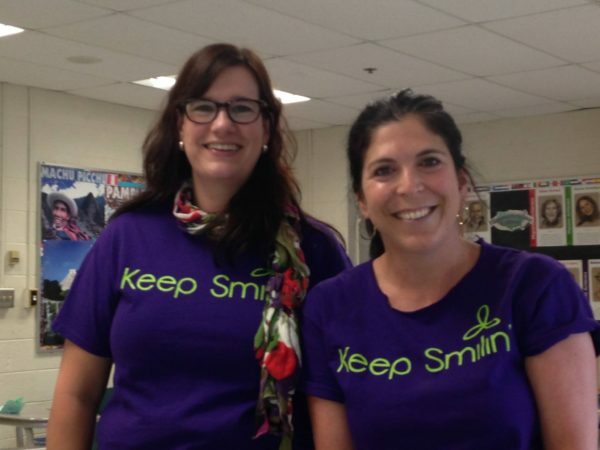 Becky Abate & Sara Kirshenbaum @ Hopkinton Middle School. Catherine “Cappy” Leonard @ John Lennon Wall.